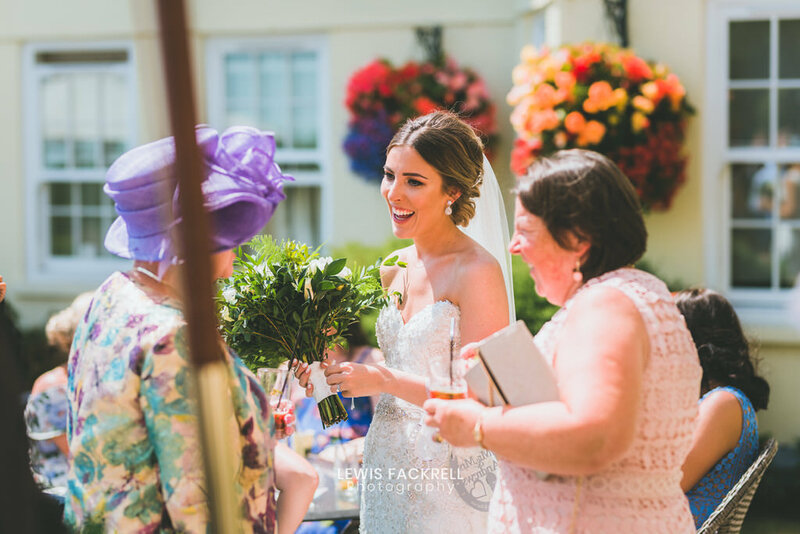 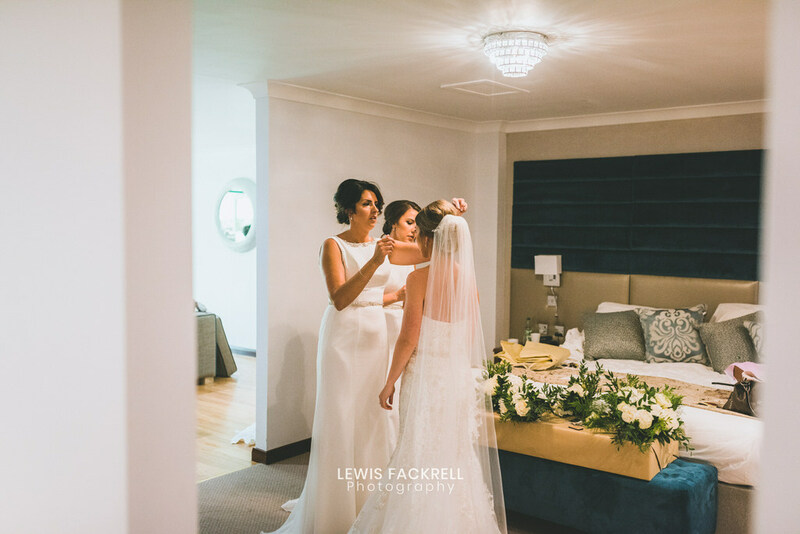 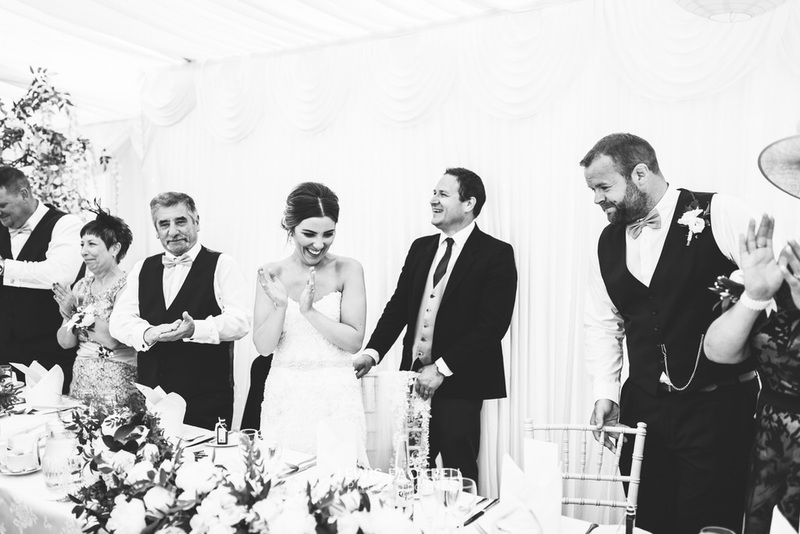 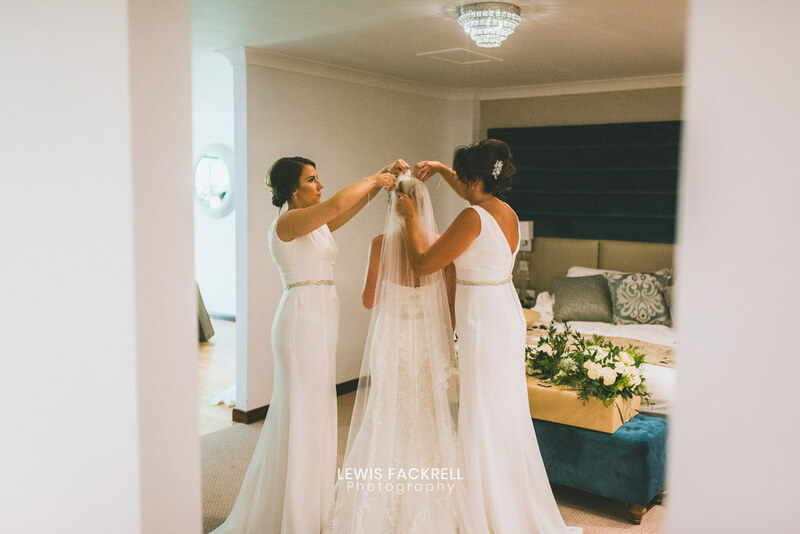 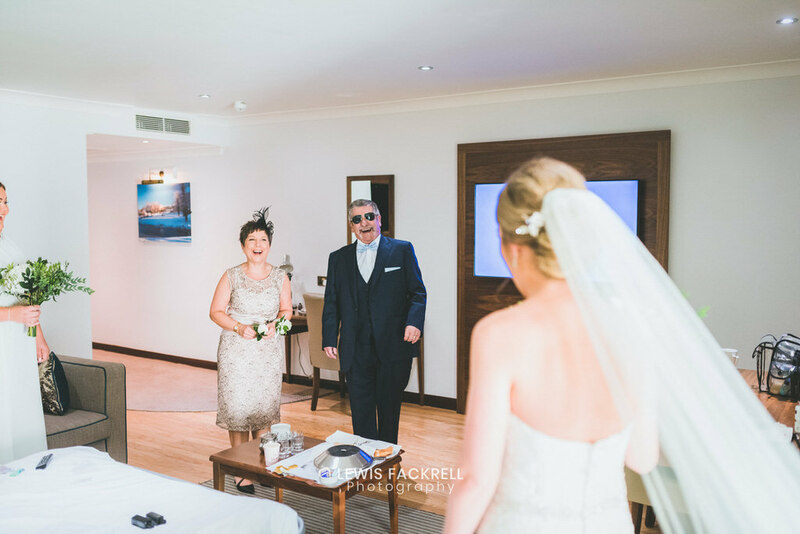 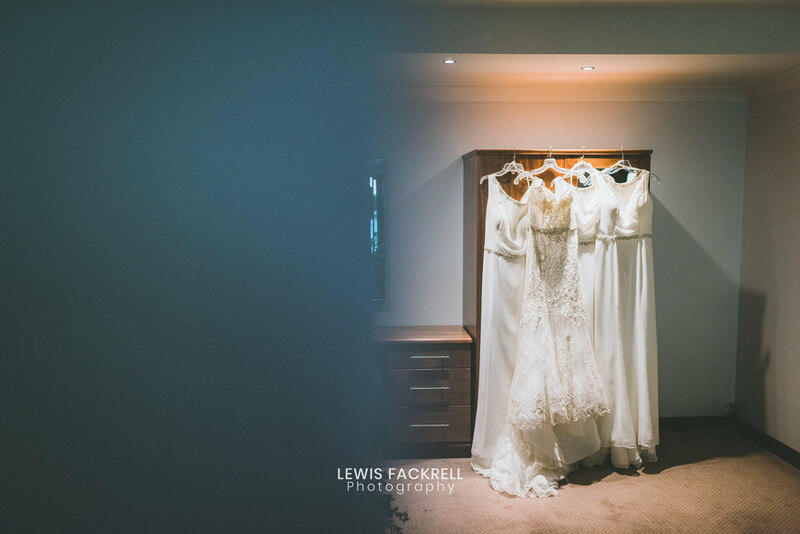 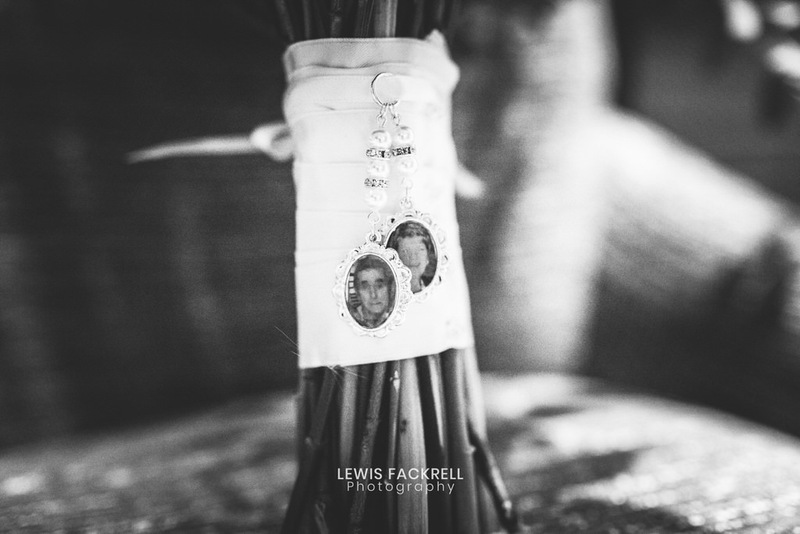 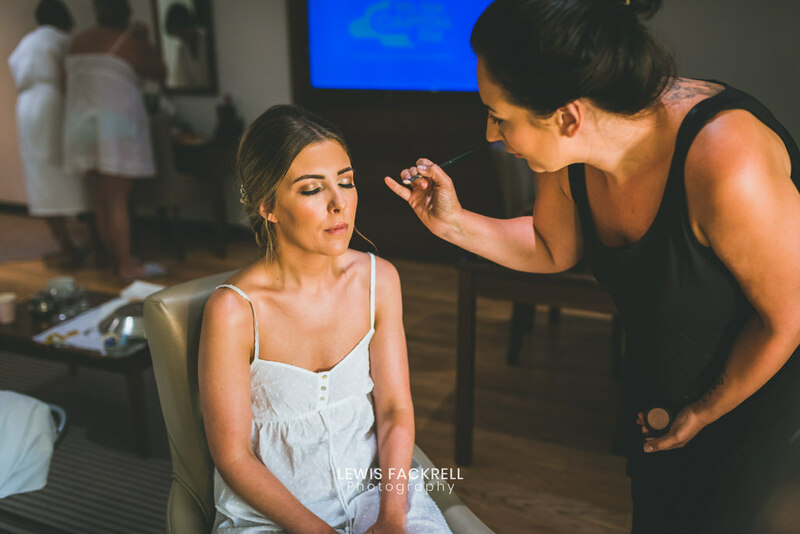 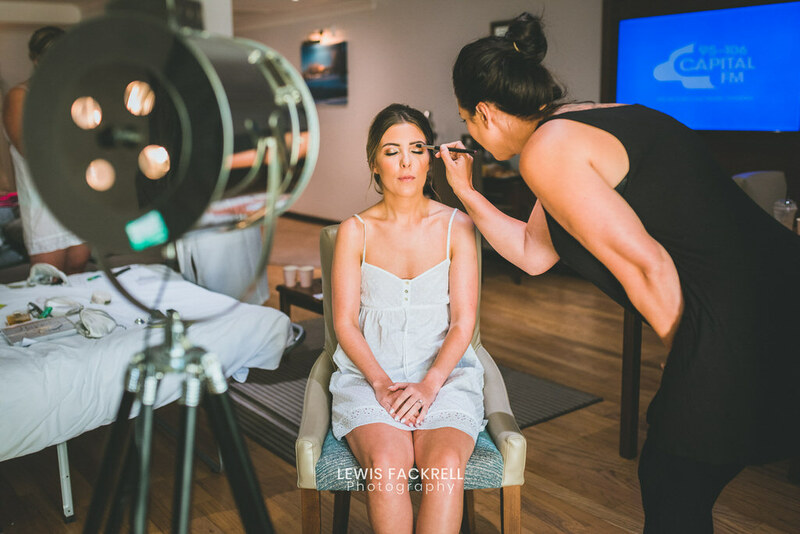 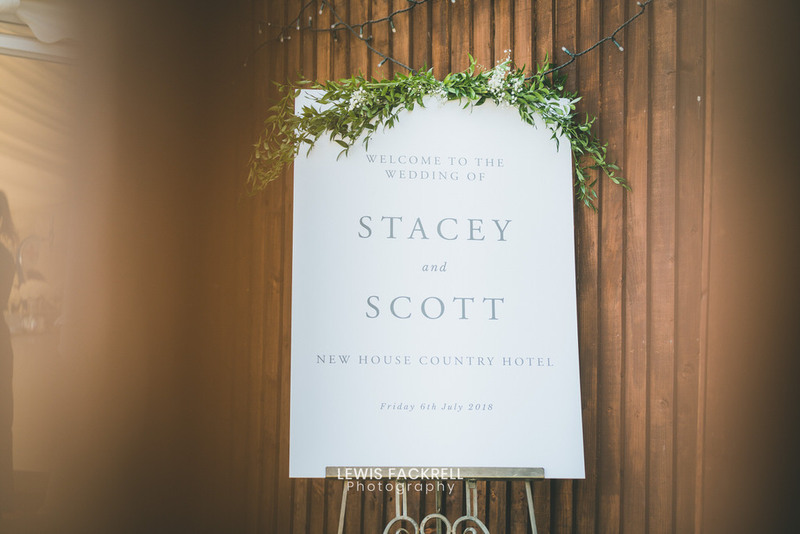 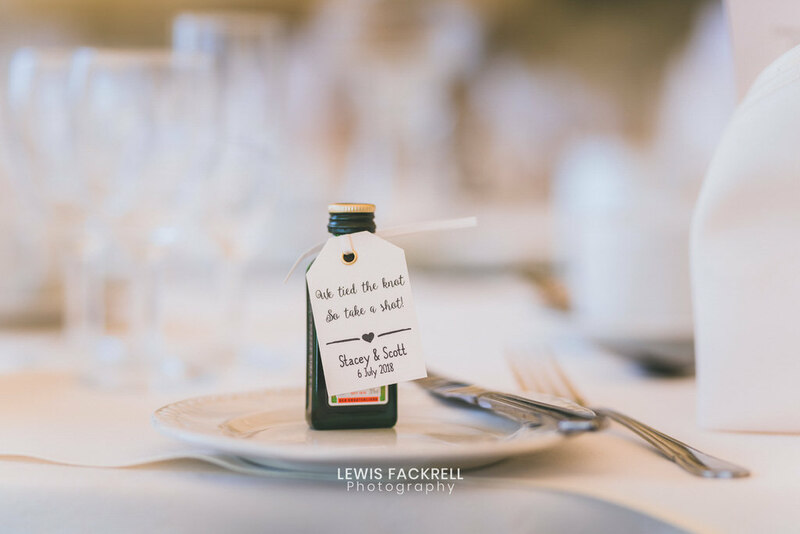 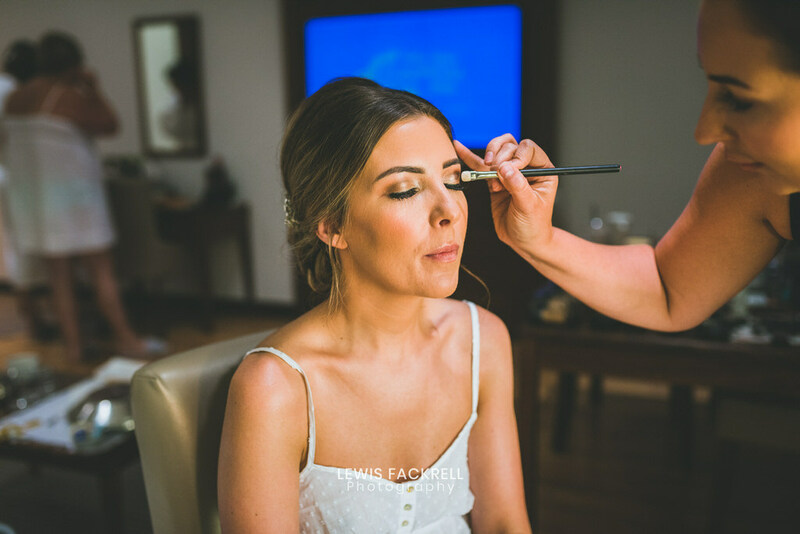 Stacey & Scott had their wedding at the New House Hotel wedding overlooking the city of Cardiff in July. 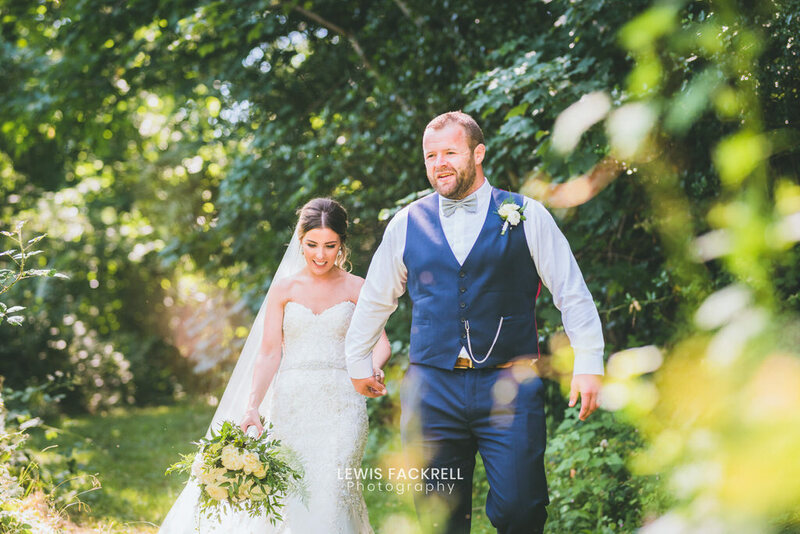 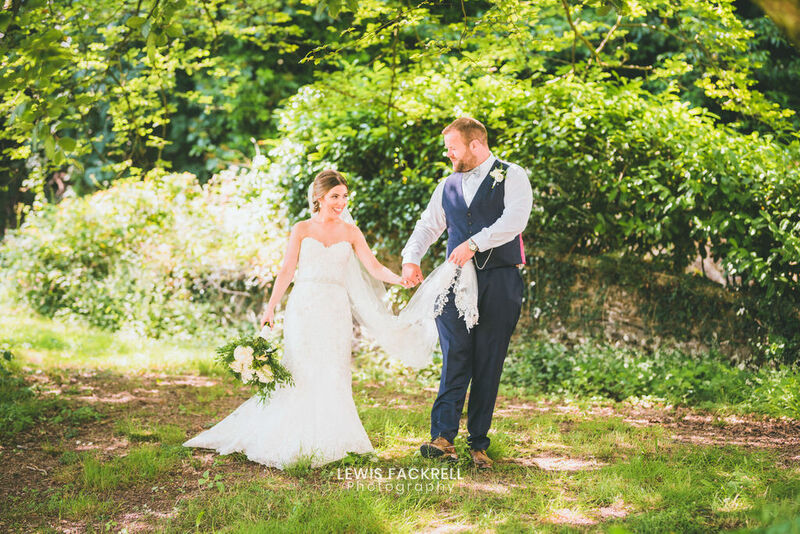 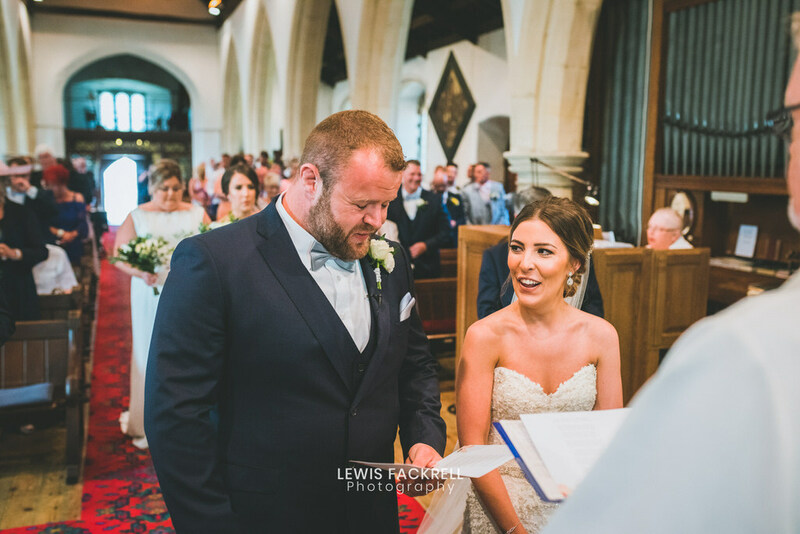 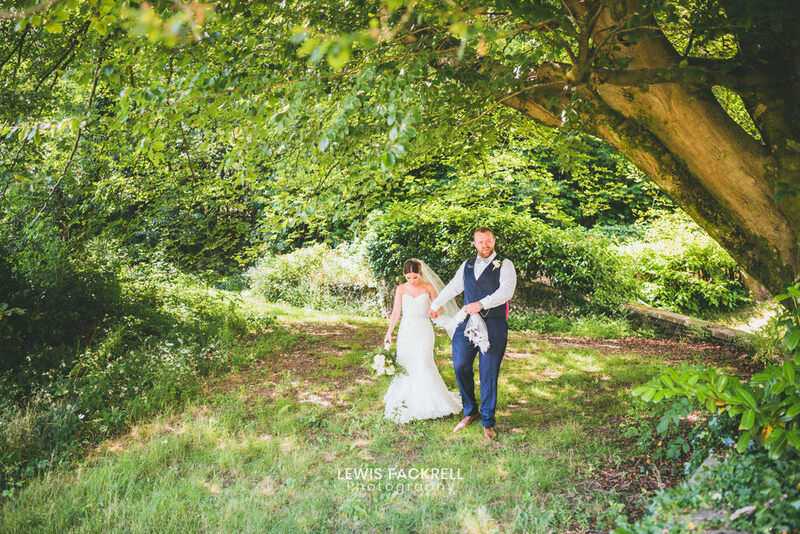 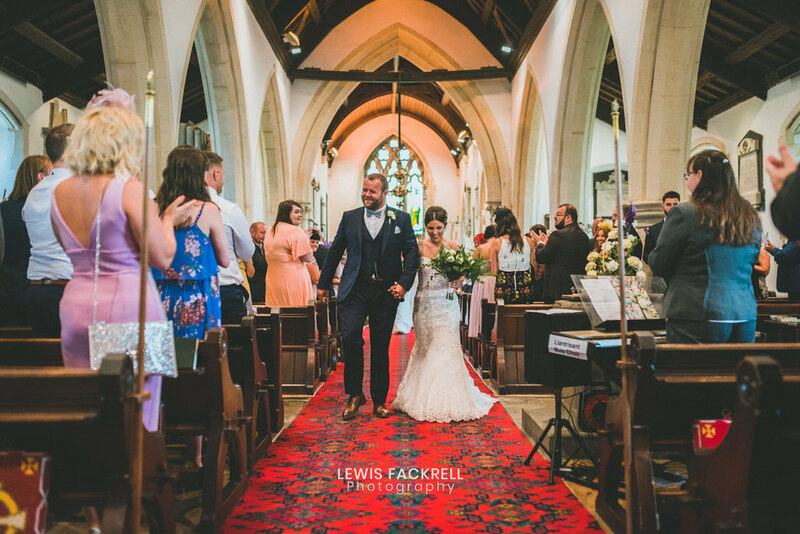 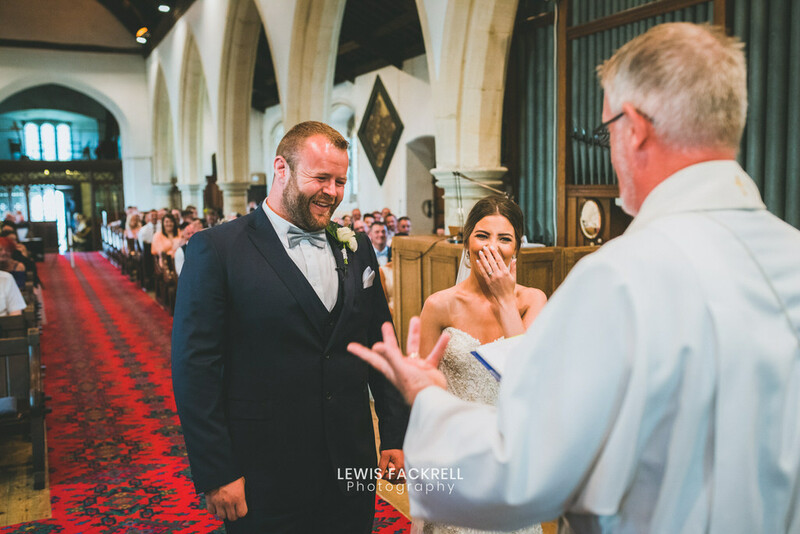 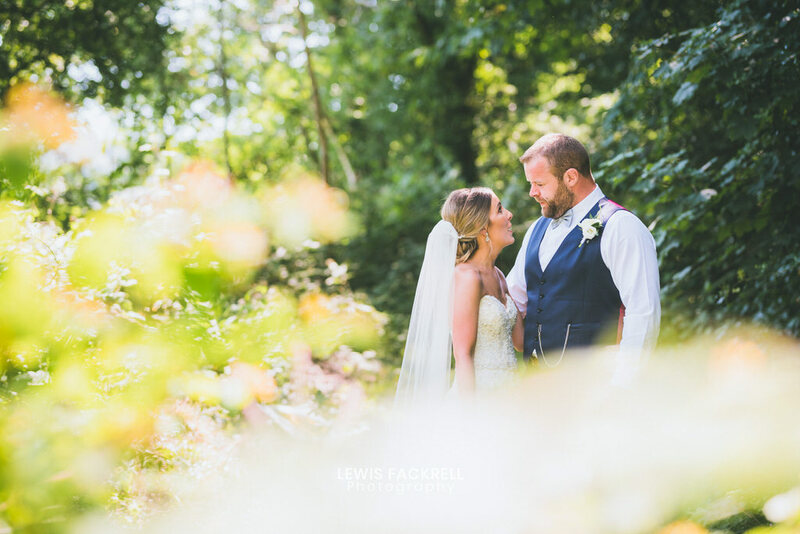 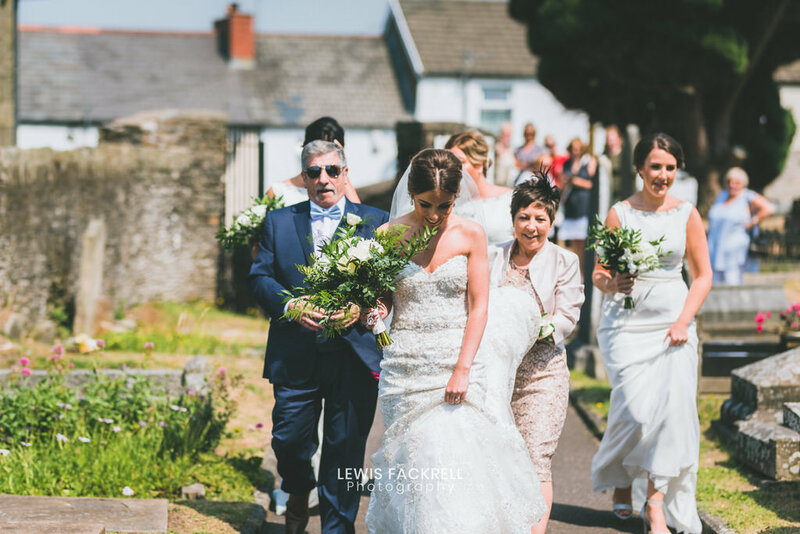 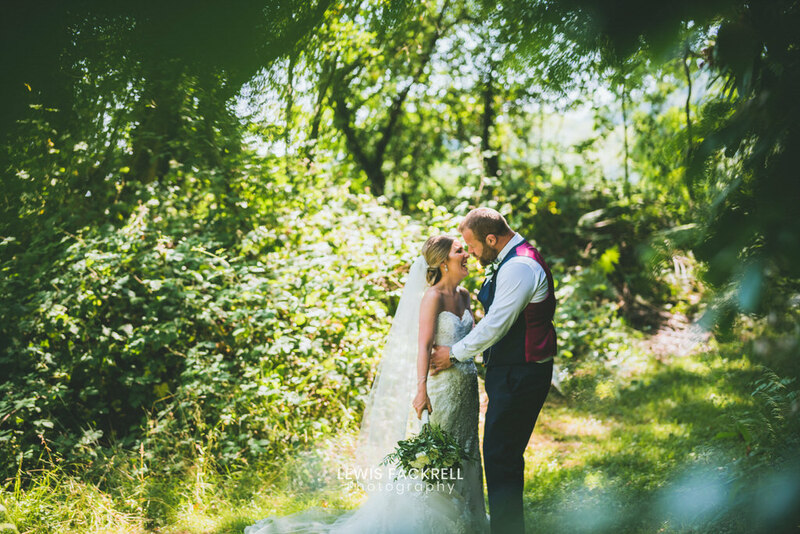 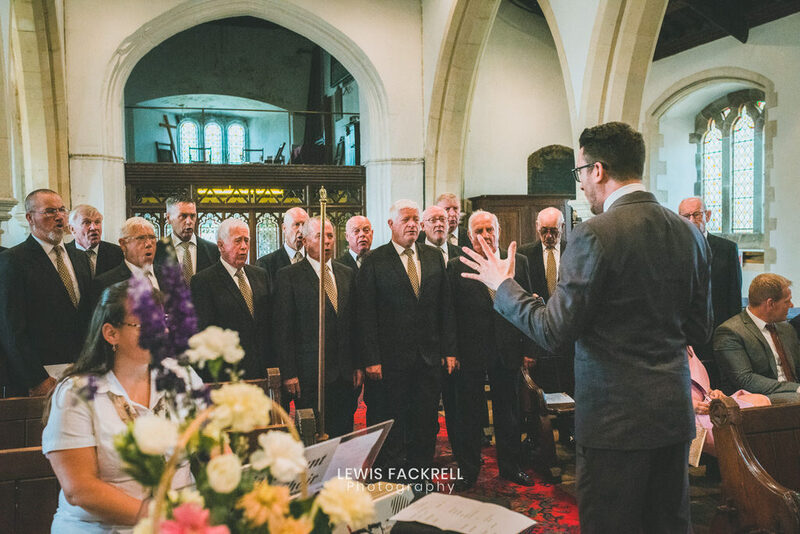 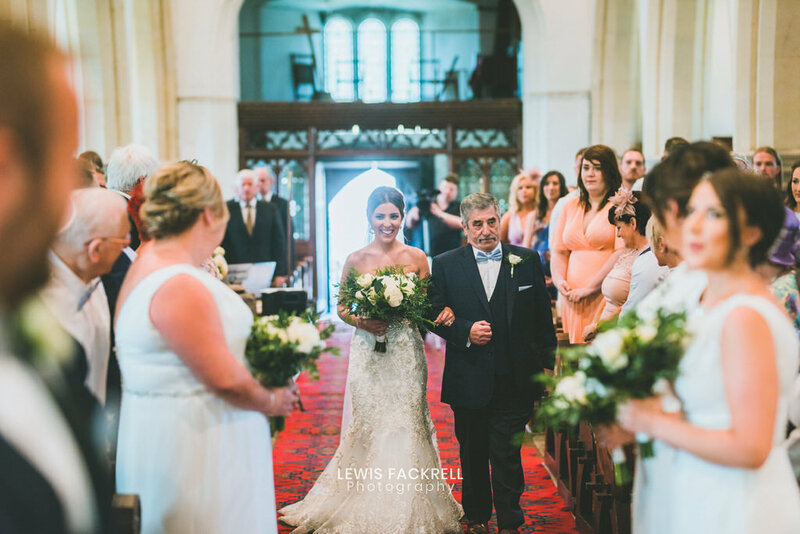 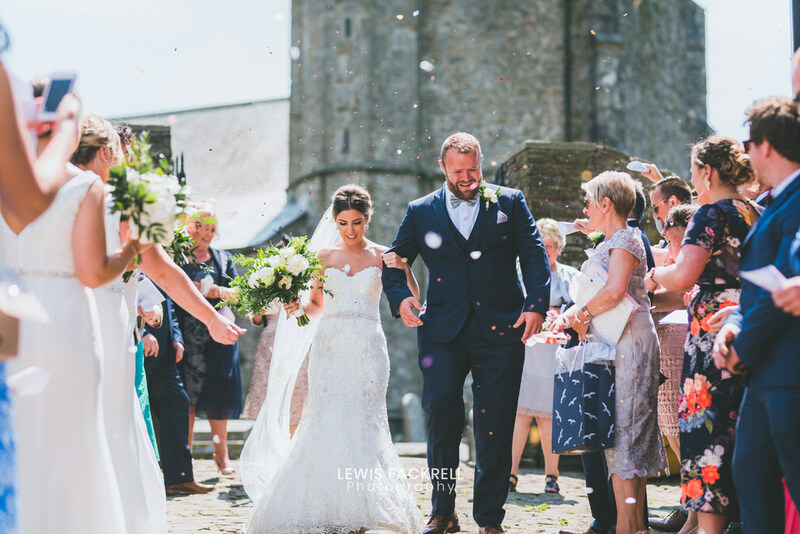 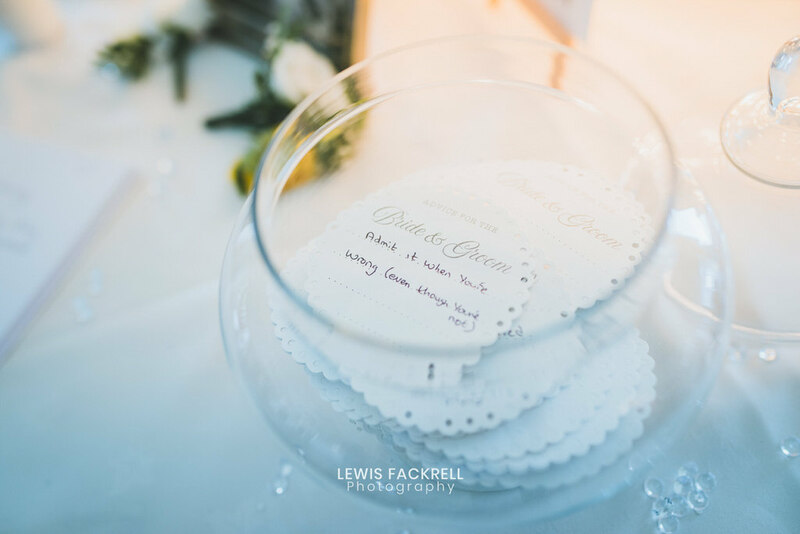 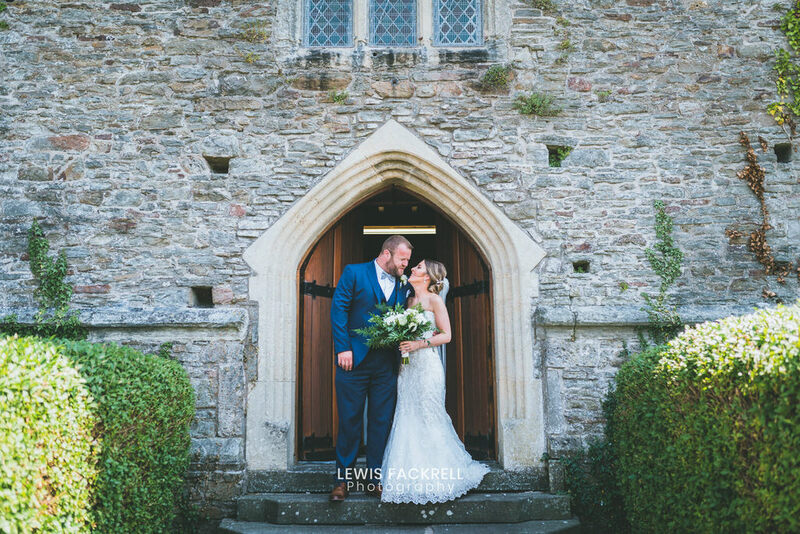 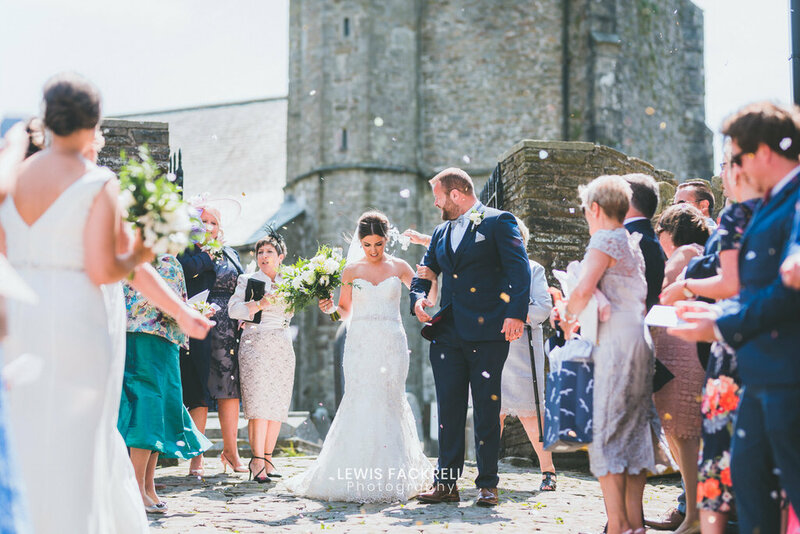 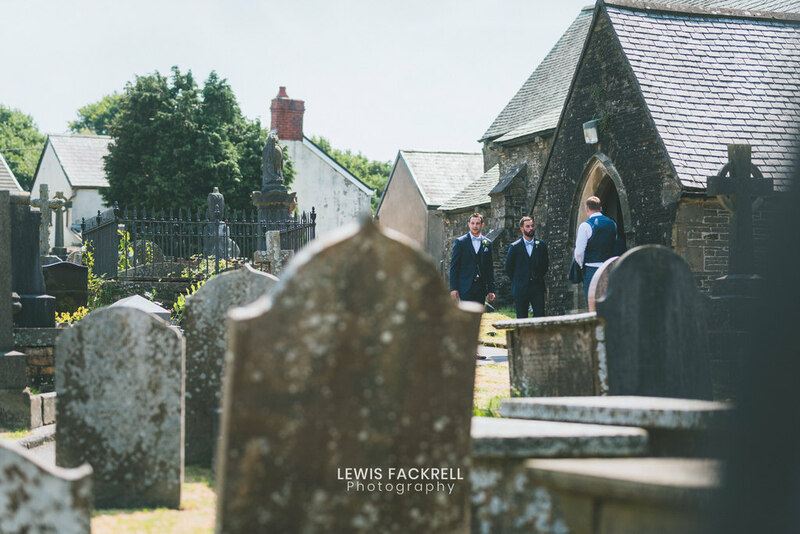 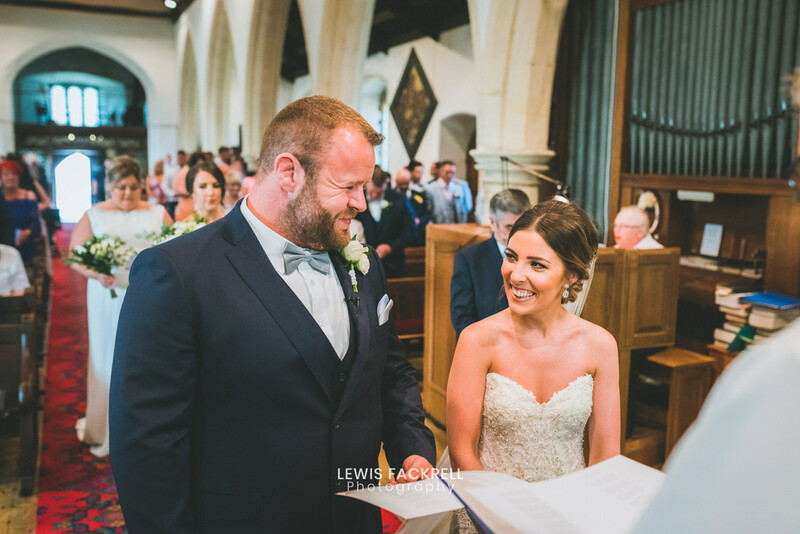 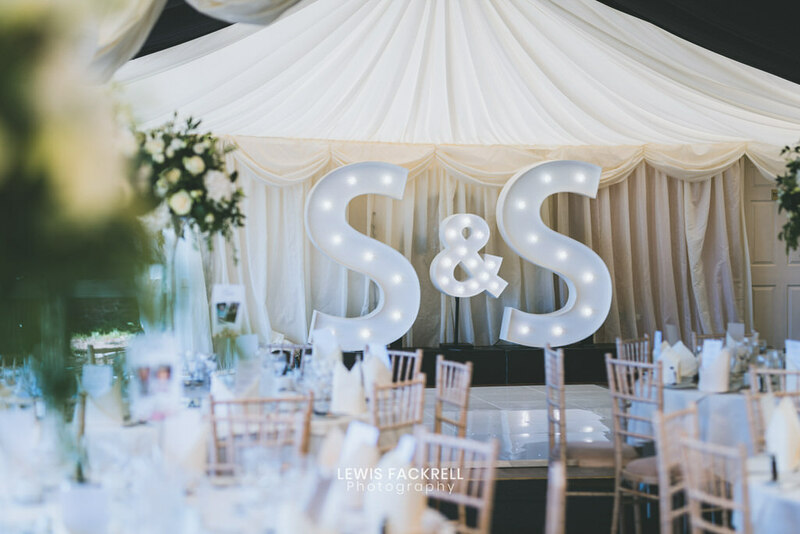 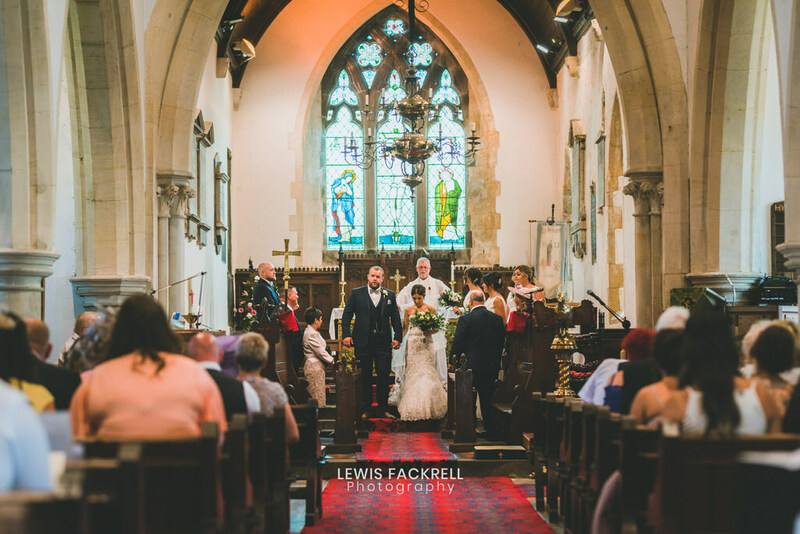 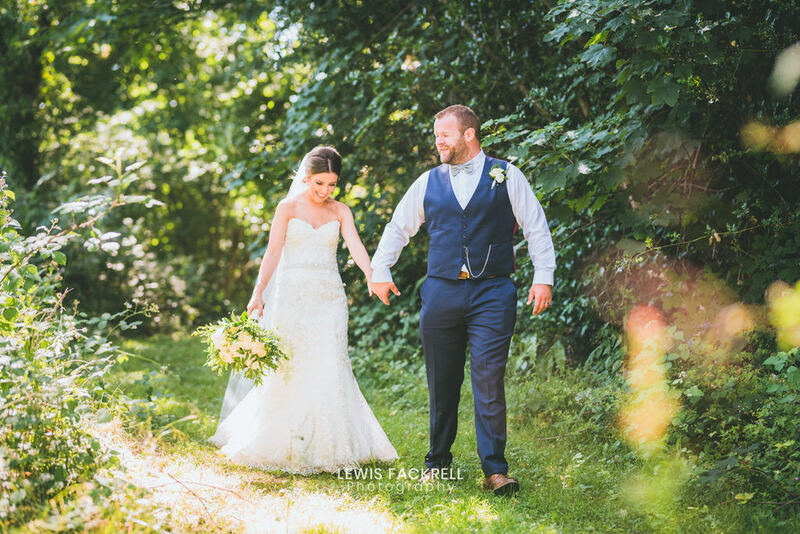 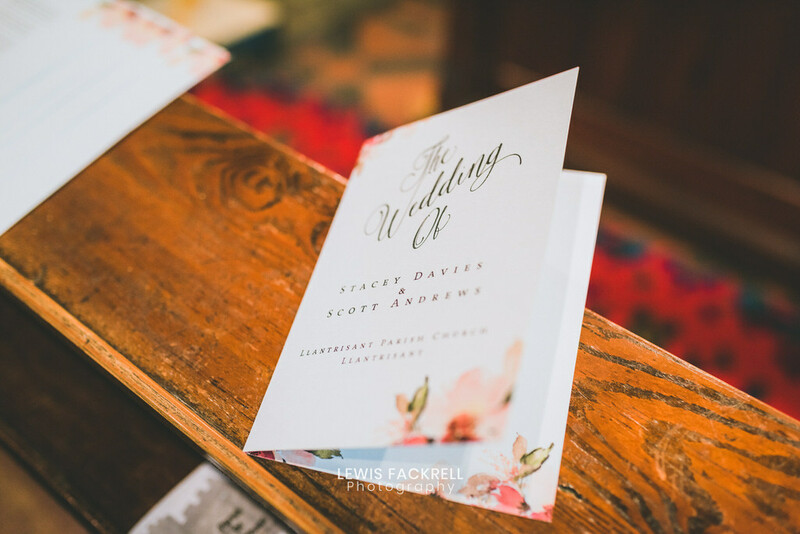 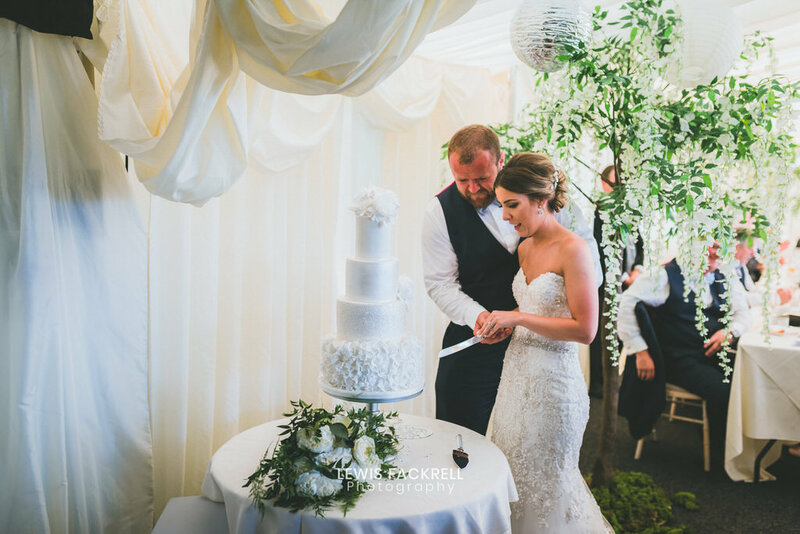 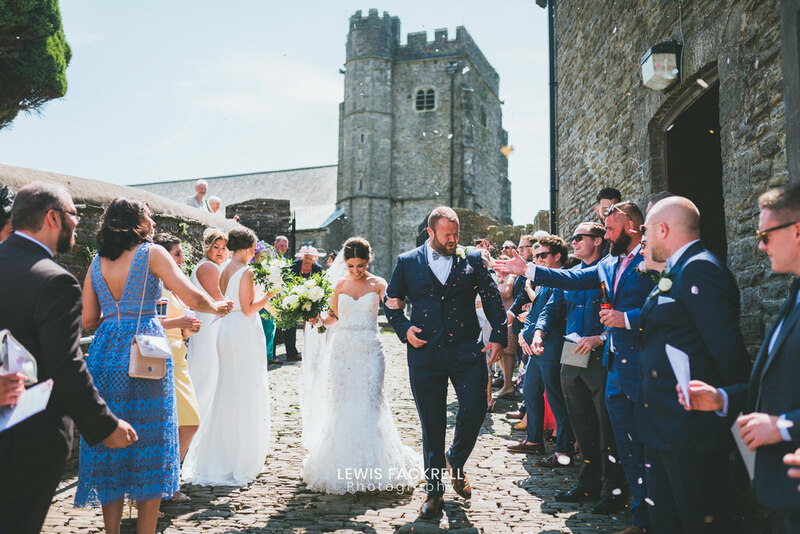 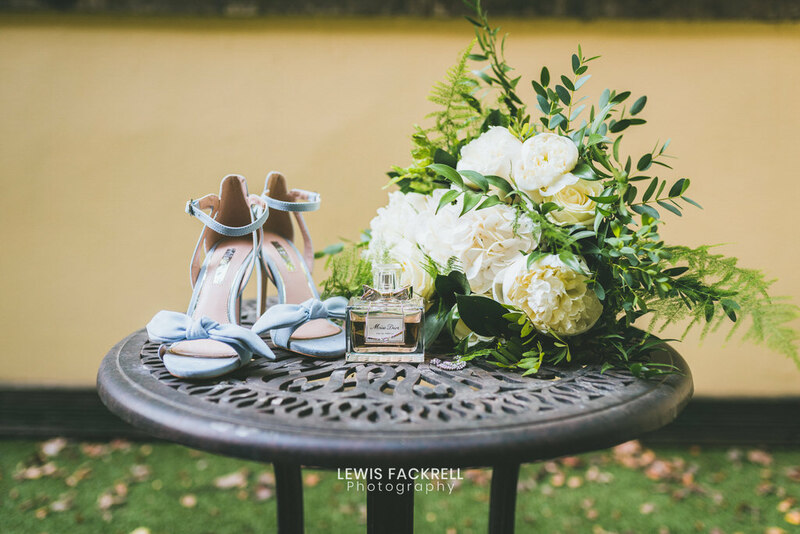 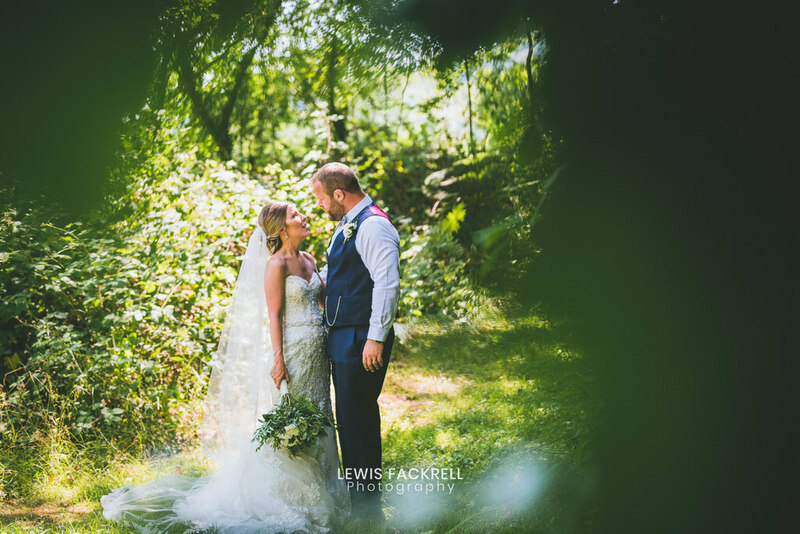 Their ceremony was in the idyllic Llantrisant church with a short journey to the venue which hosted their canapé and prosecco reception. 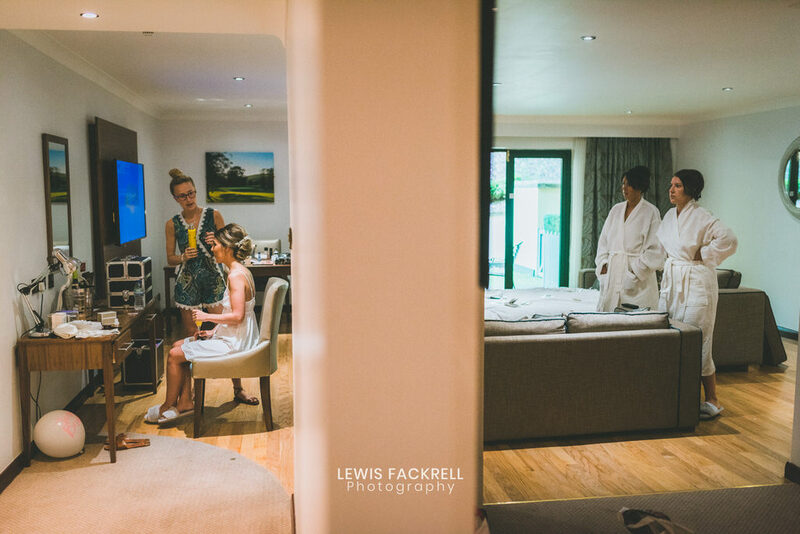 The morning starting out with Stacey and her bridesmaids at their ‘bridal prep’ which was at The Vale Resort; A short drive down the road from the ceremony. 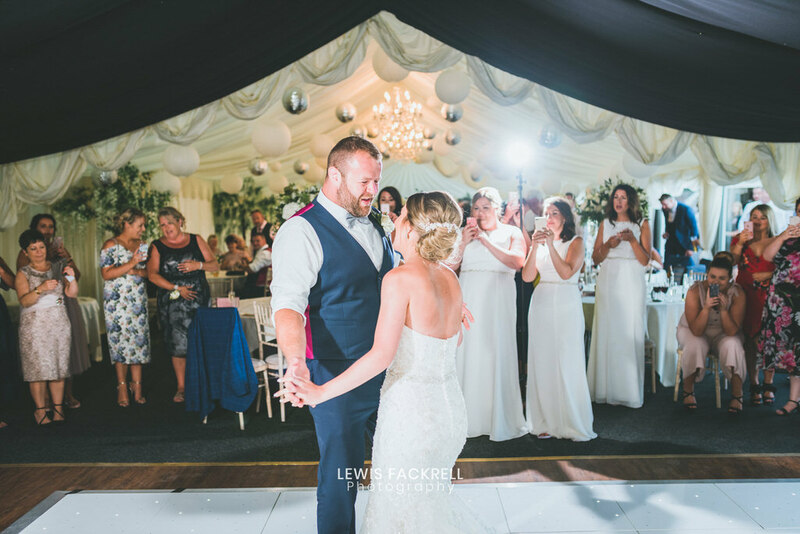 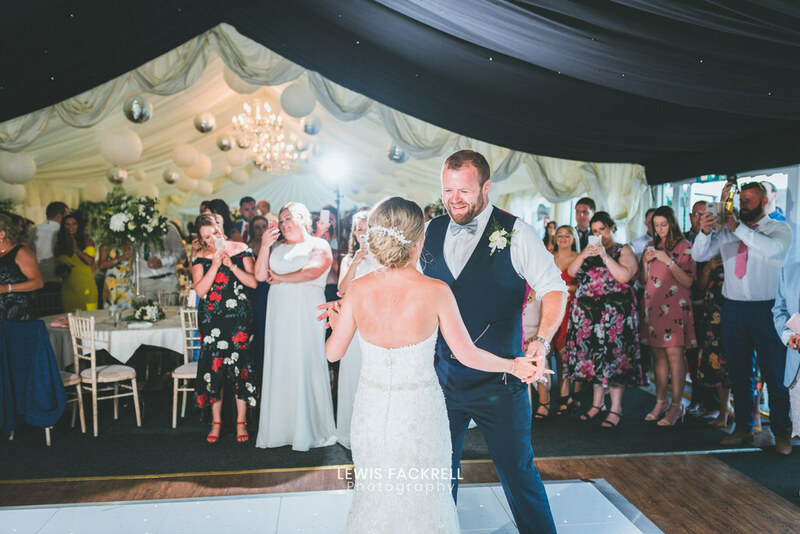 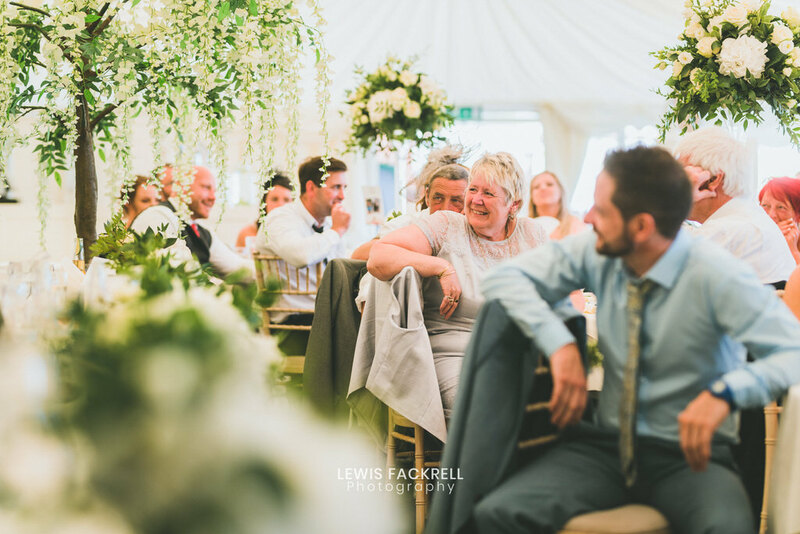 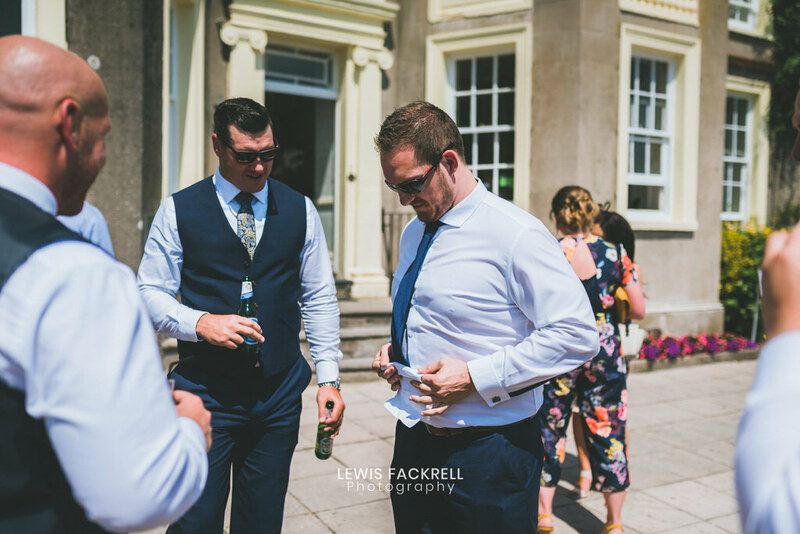 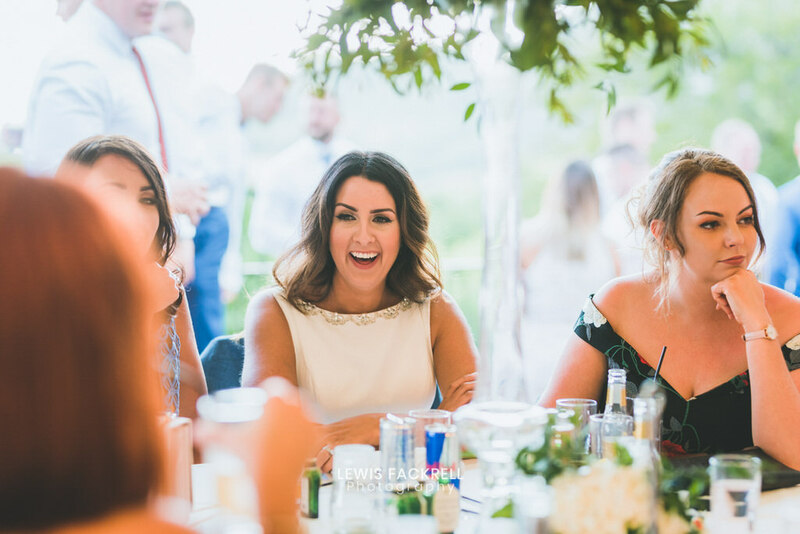 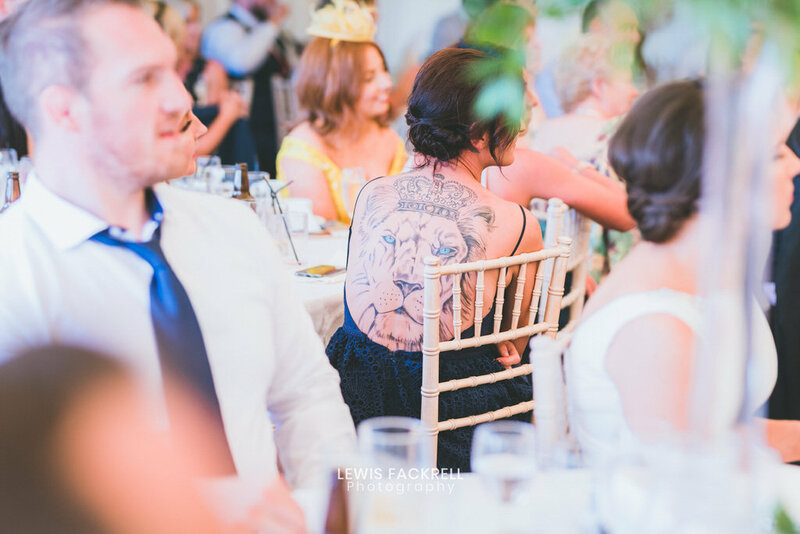 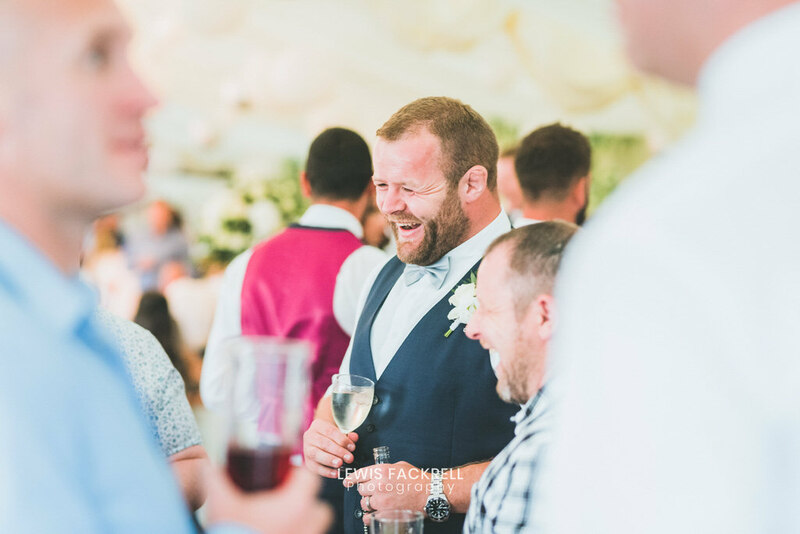 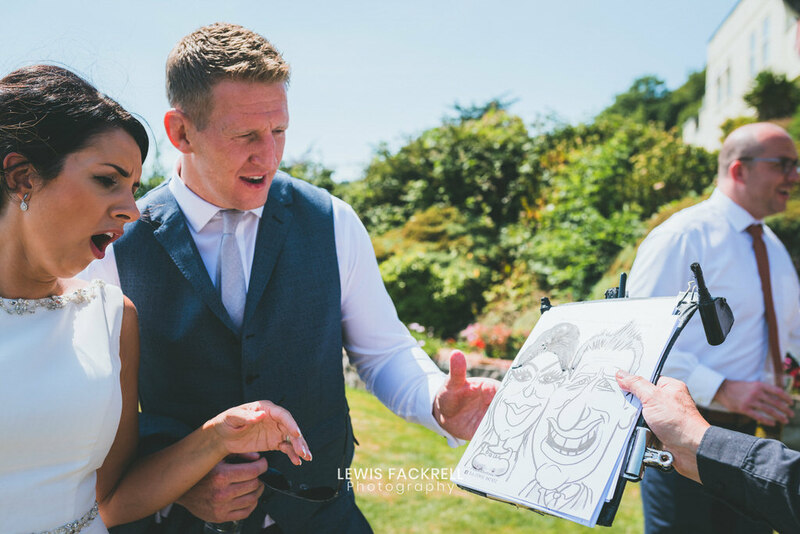 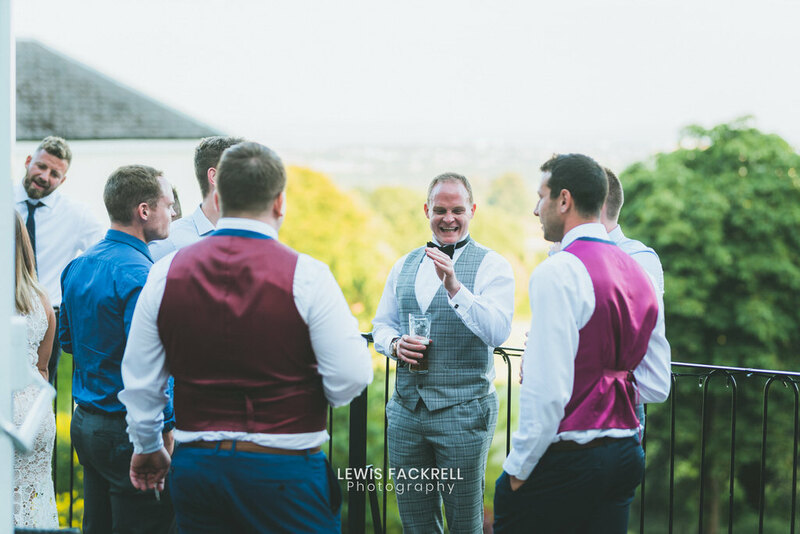 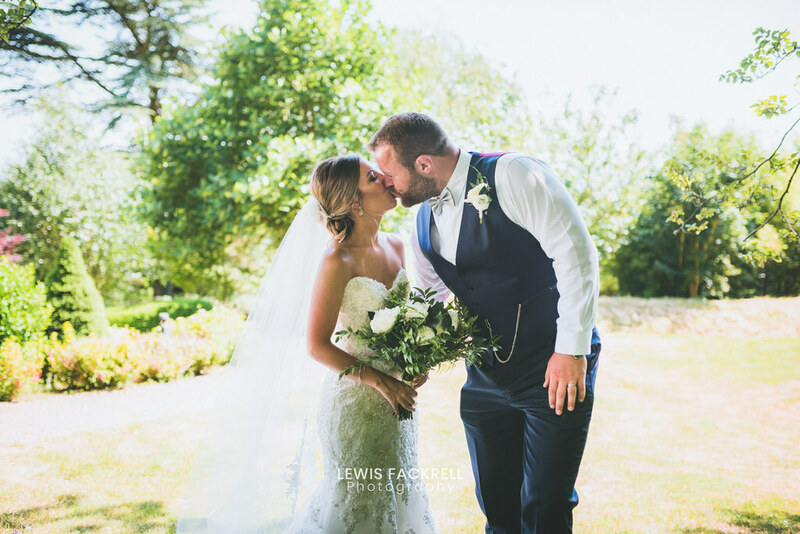 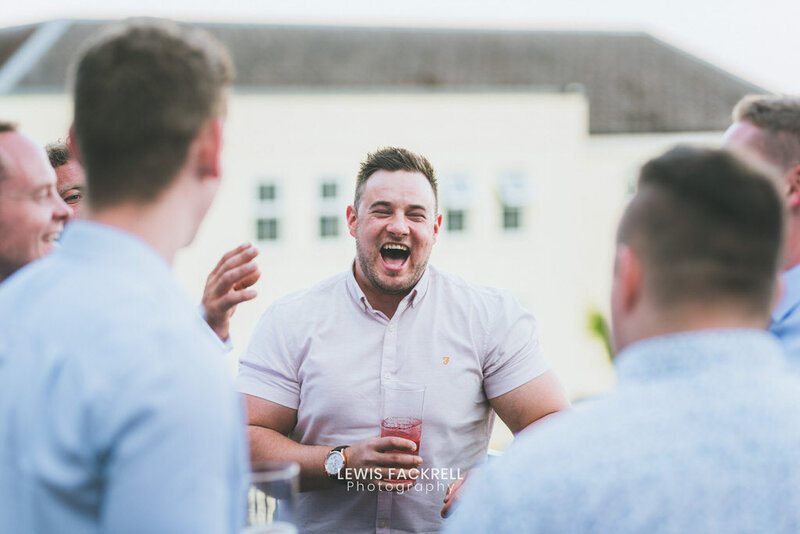 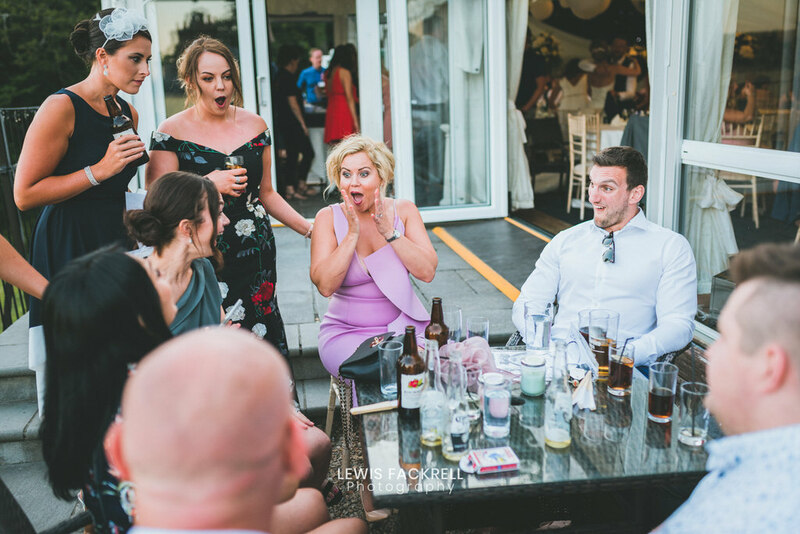 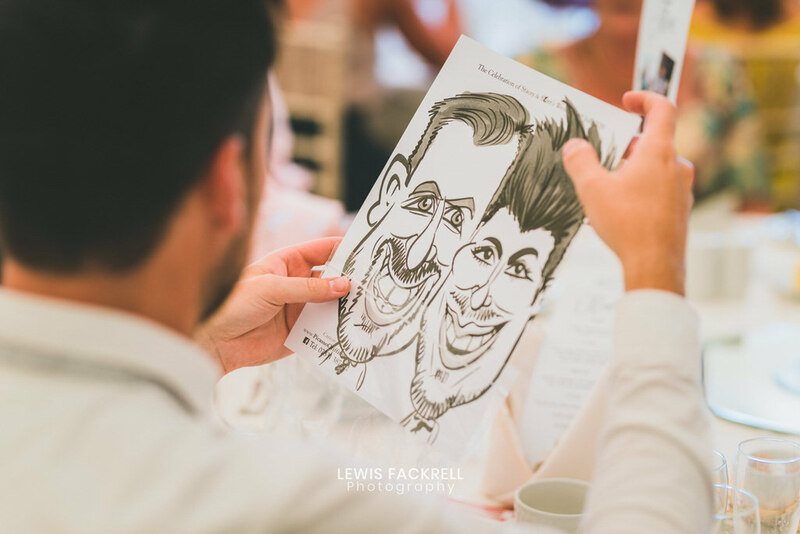 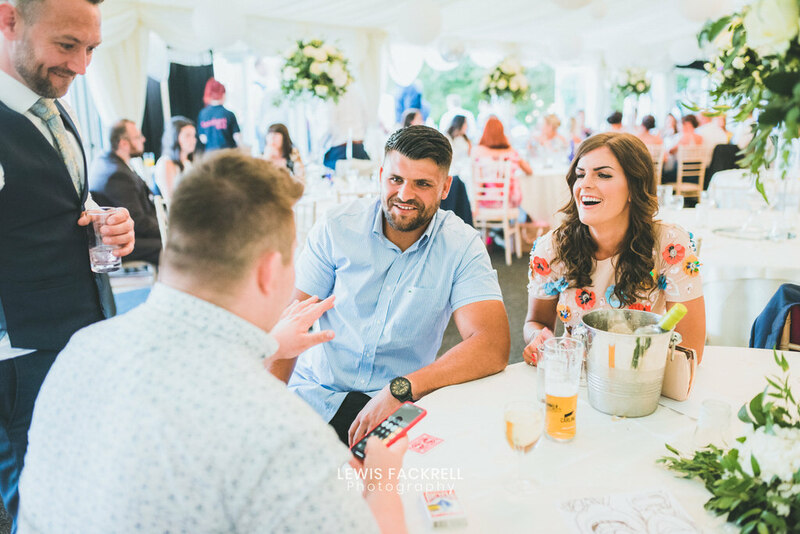 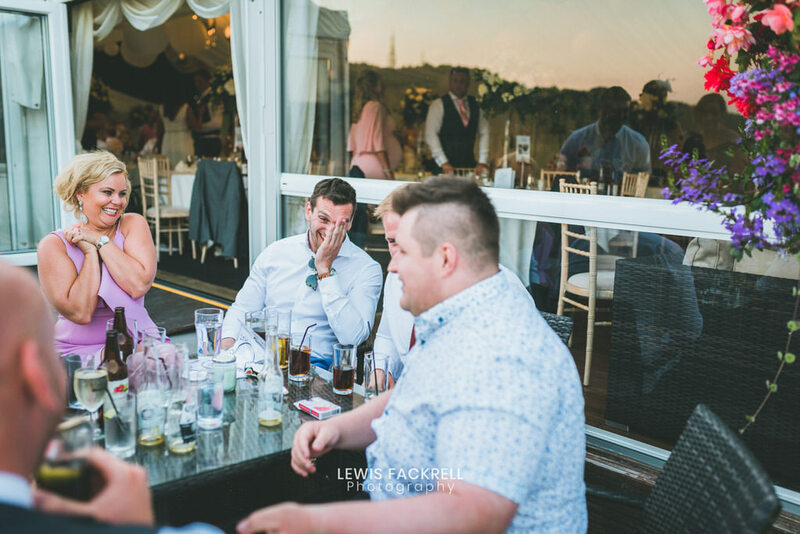 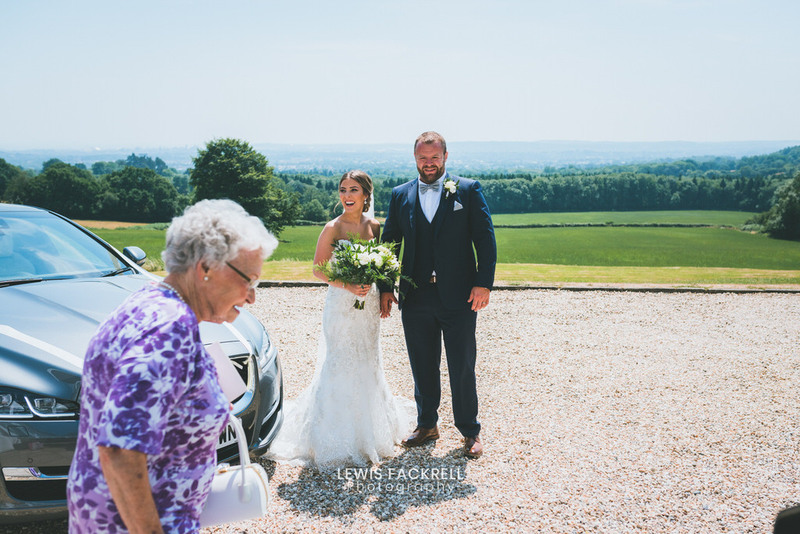 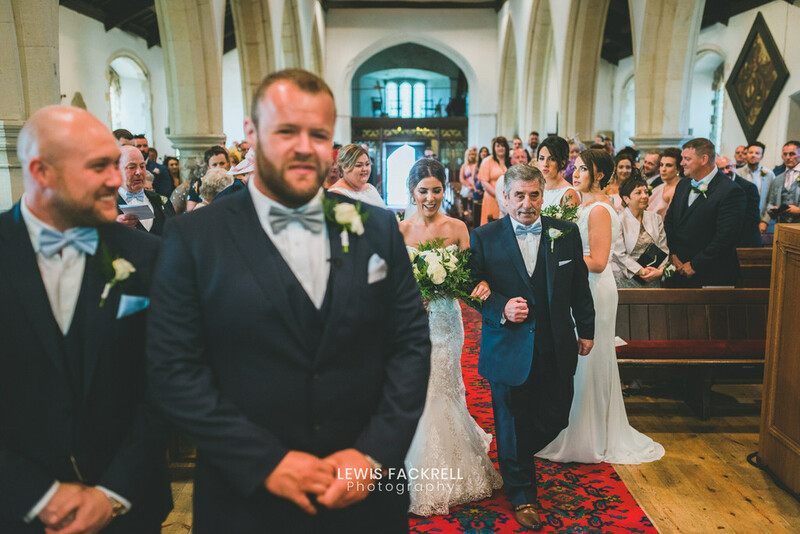 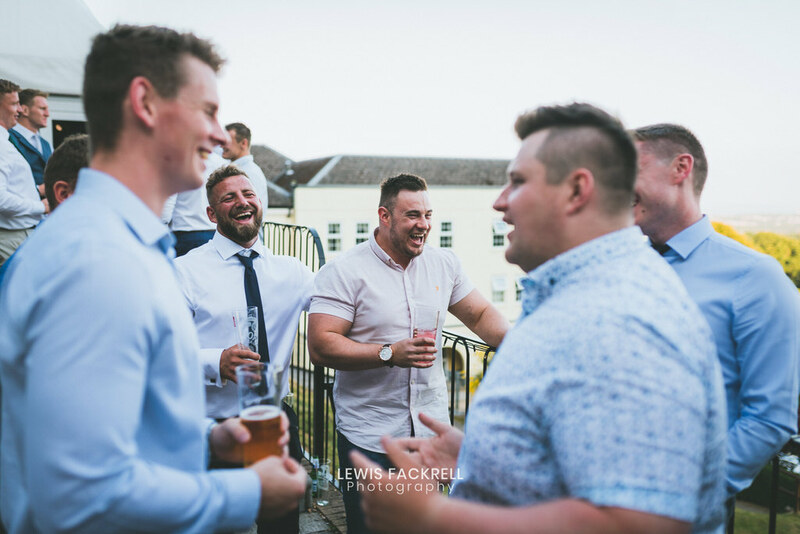 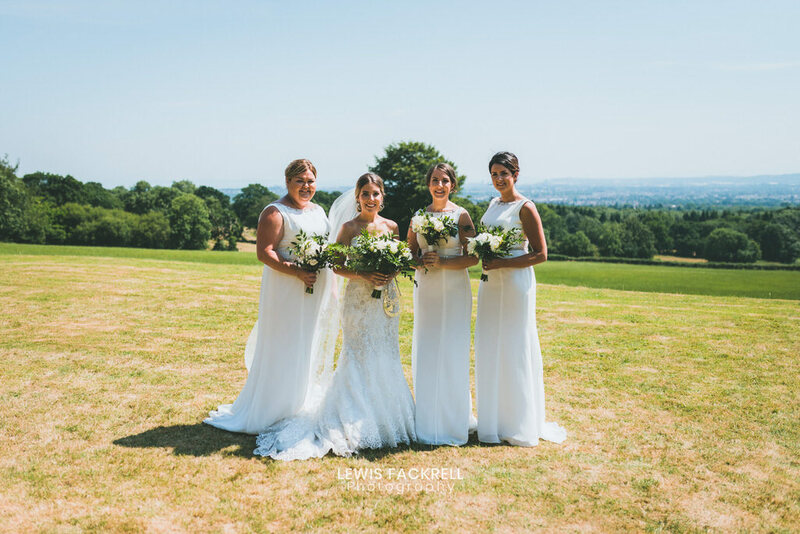 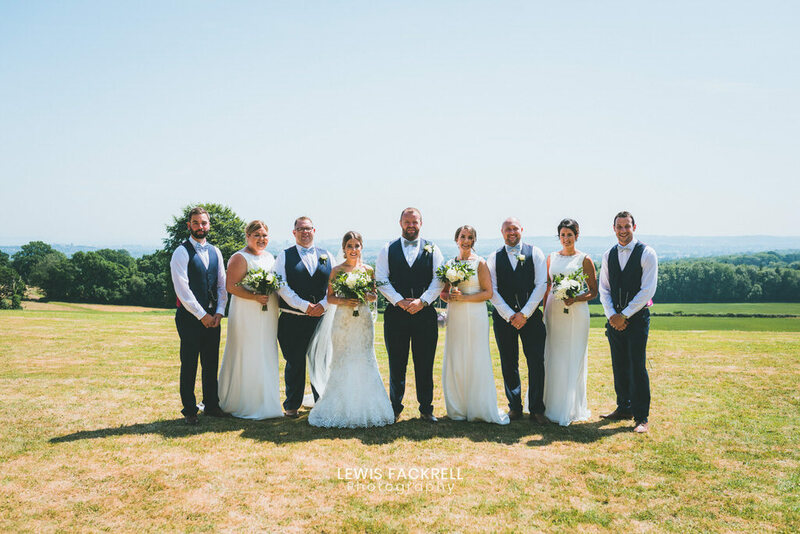 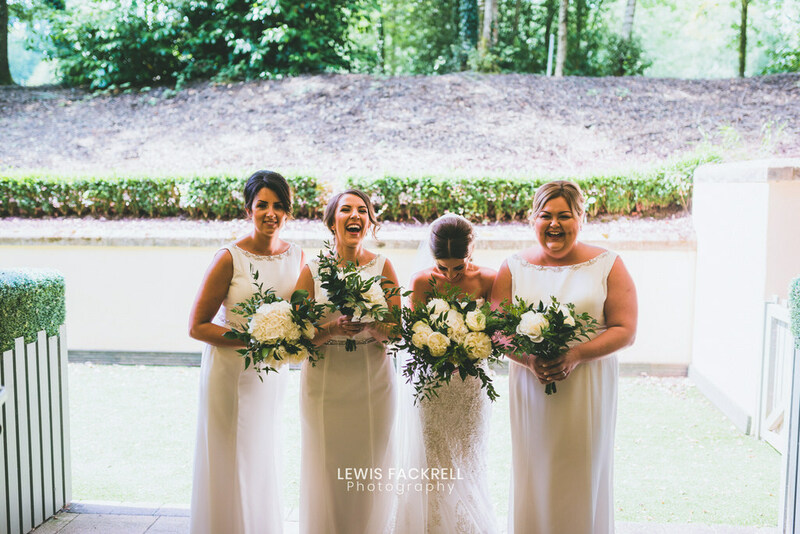 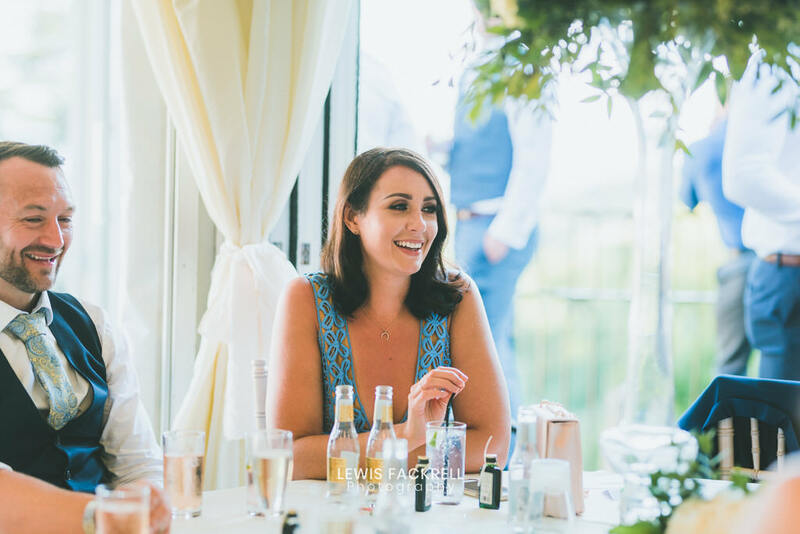 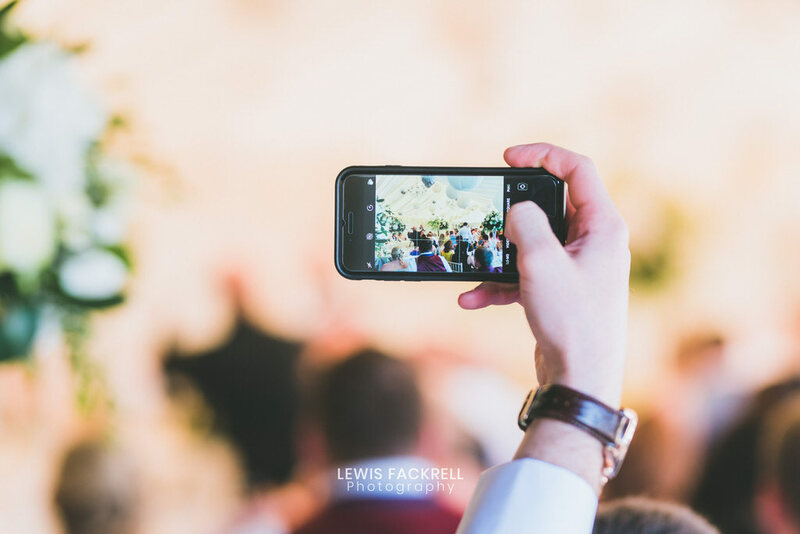 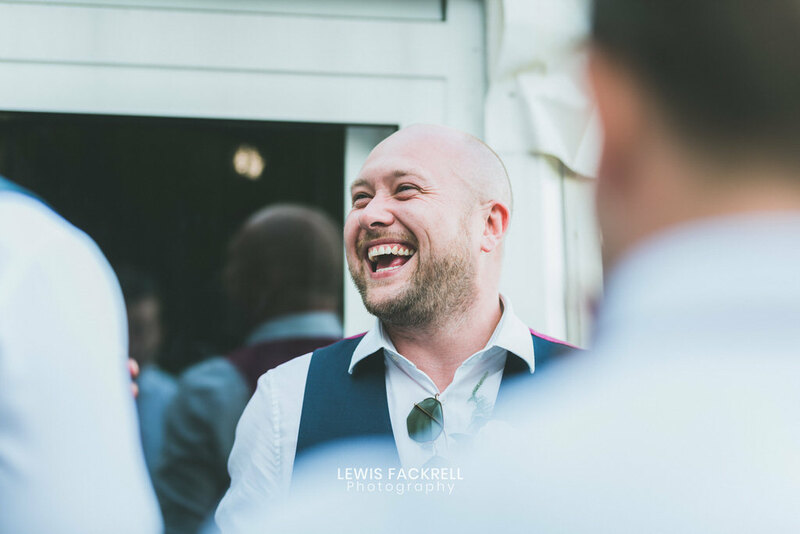 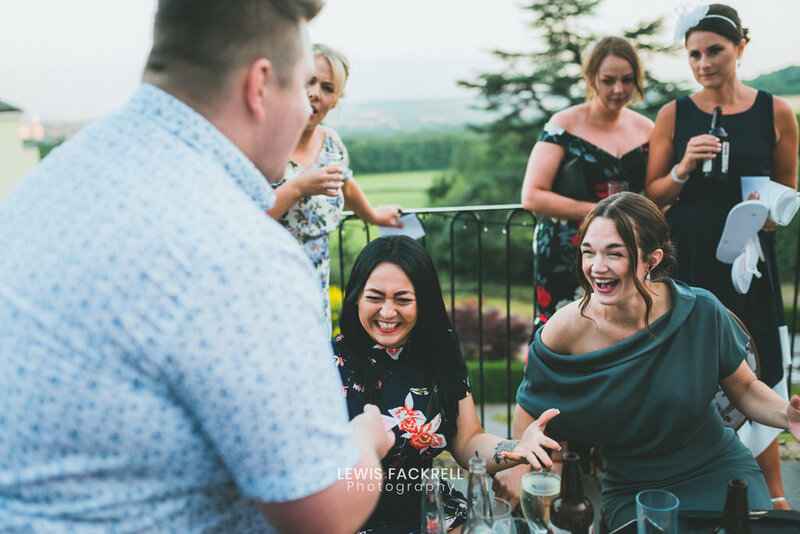 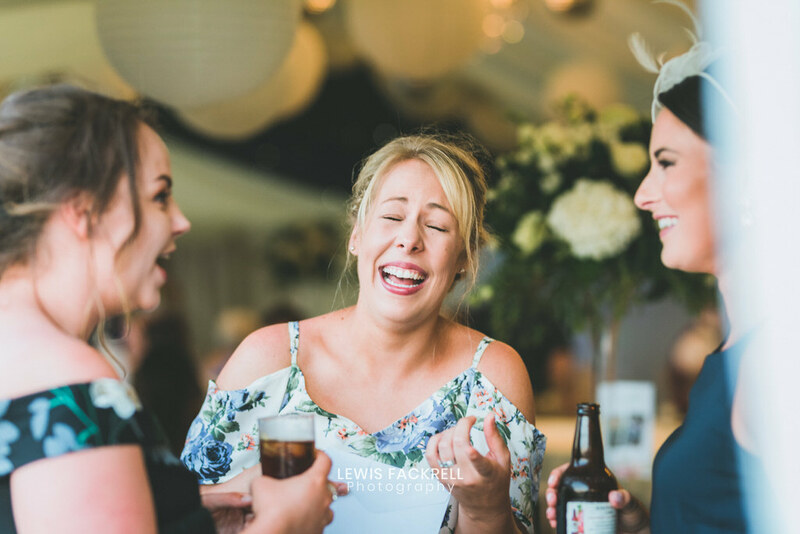 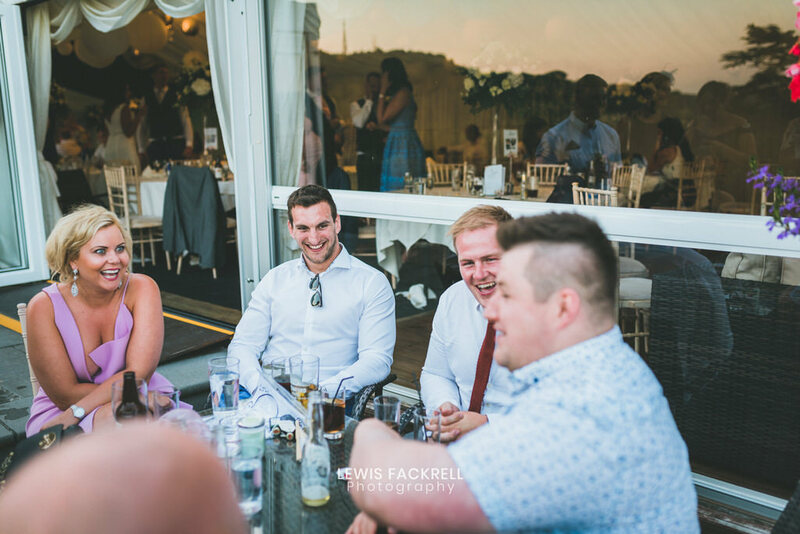 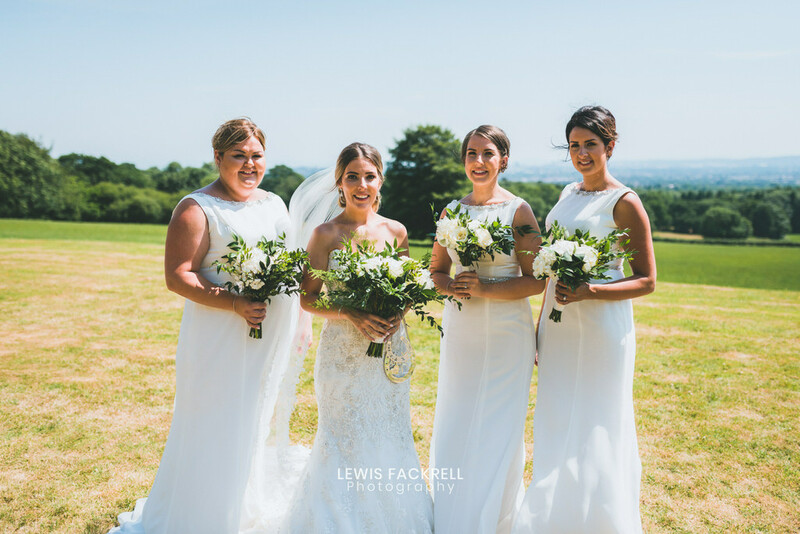 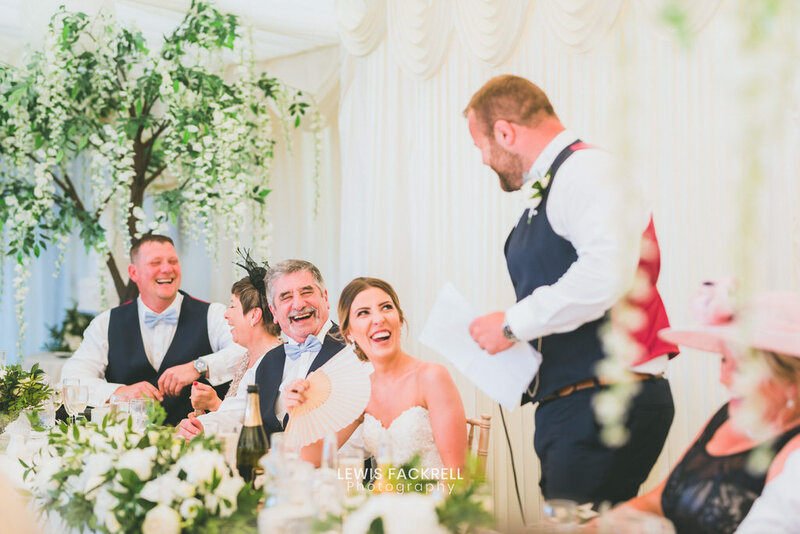 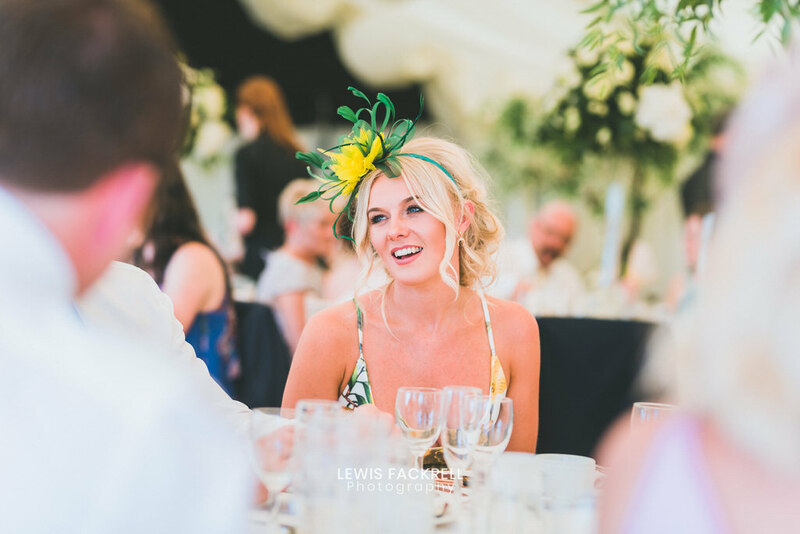 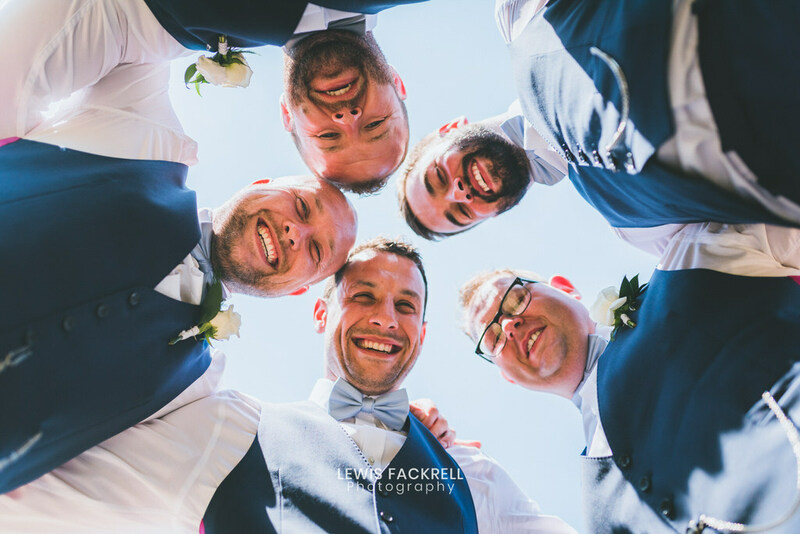 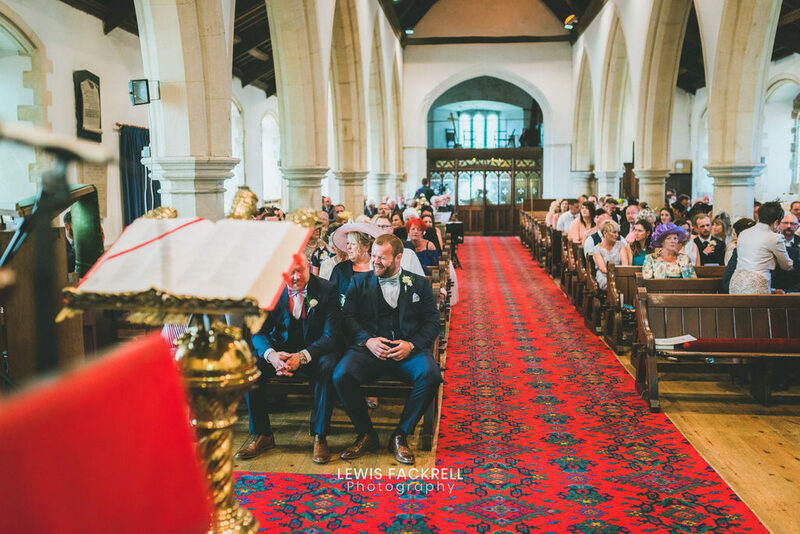 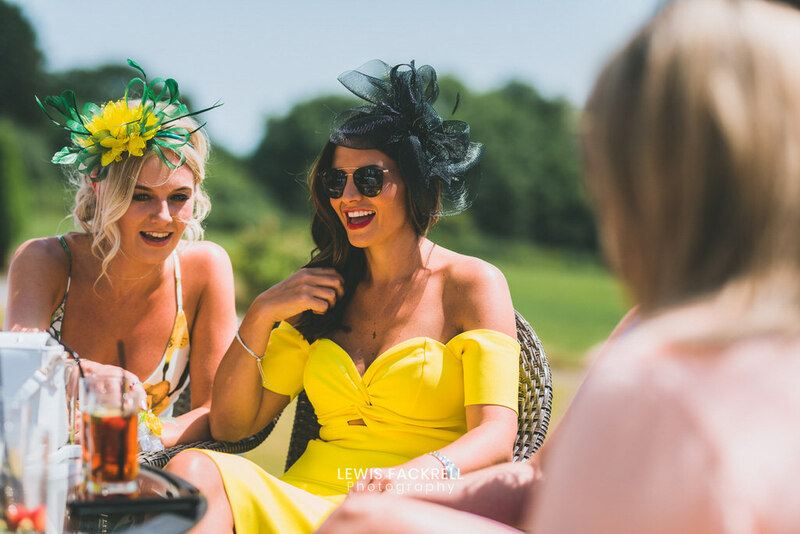 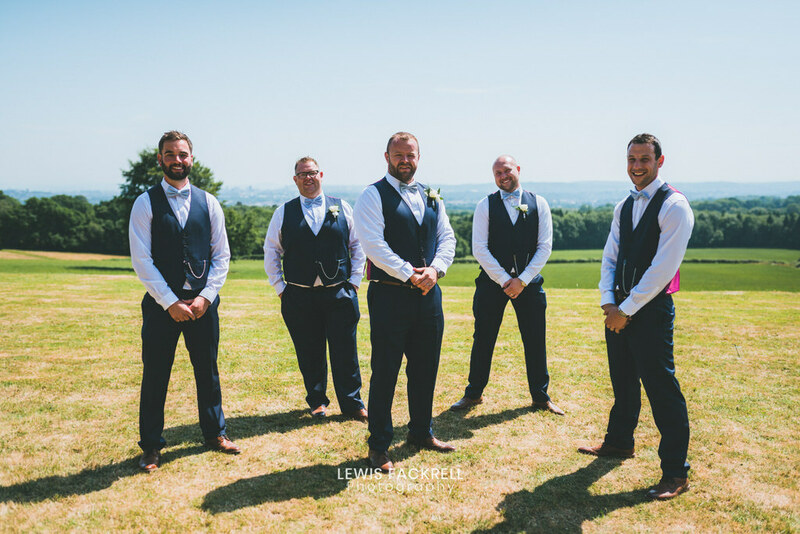 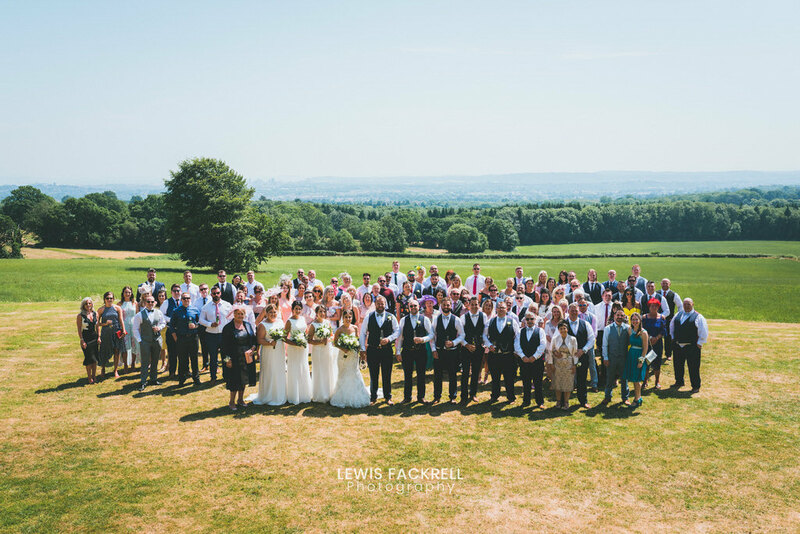 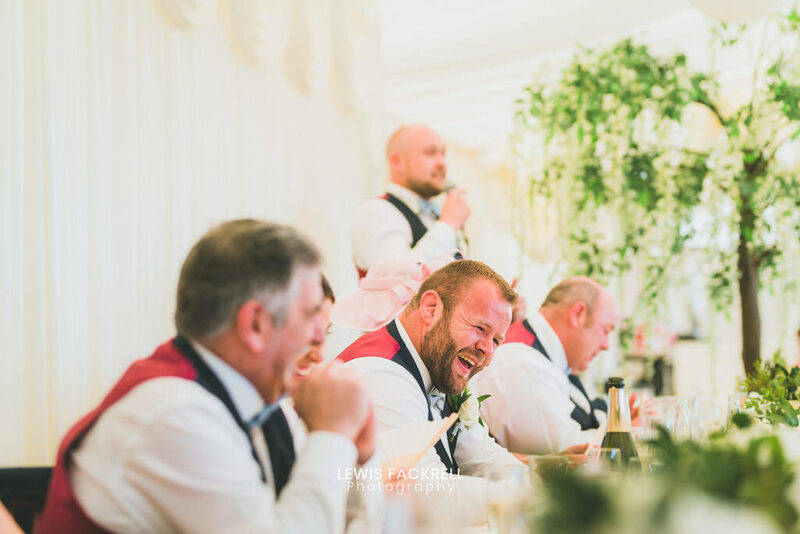 Llantrisant church held the event overlooking the lush vista of the vale of Glamorgan packed full of their guests with some of the grooms Cardiff Blues rugby team mates in attendance. 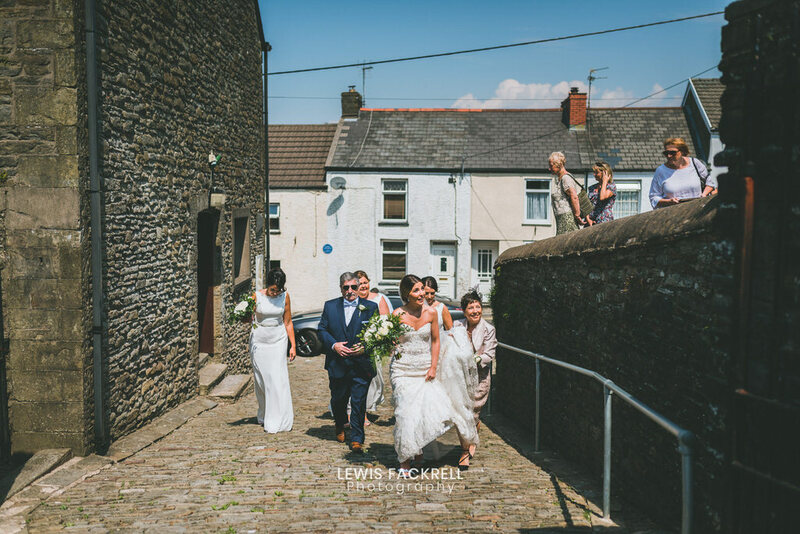 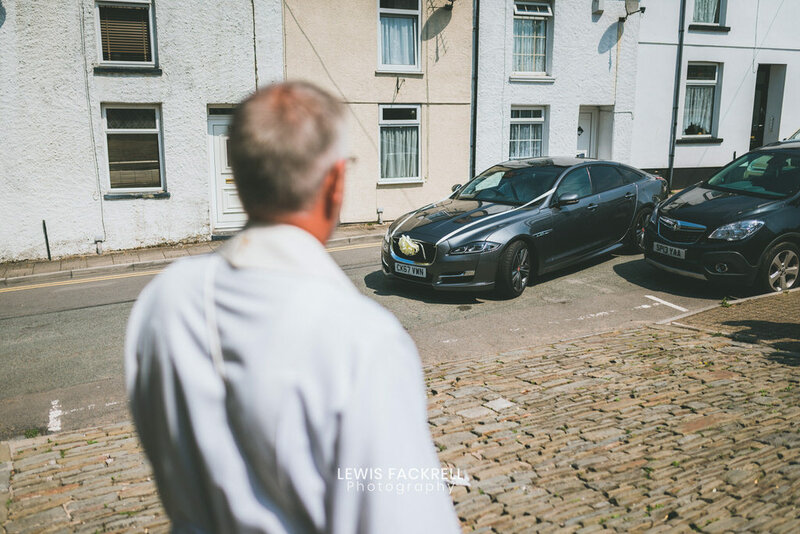 A short walk down the cobbled road of the old Llantrisant street. 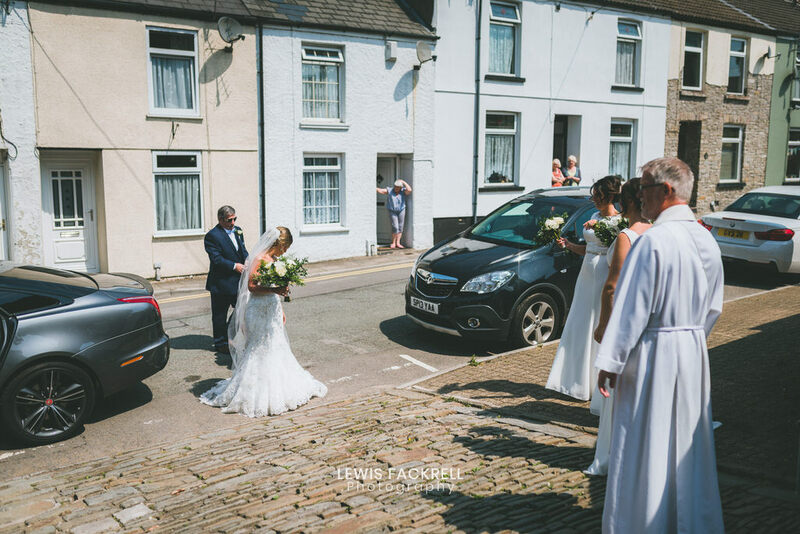 Confetti thrown as the couple exit the church and into their Jaguar Sports cars. 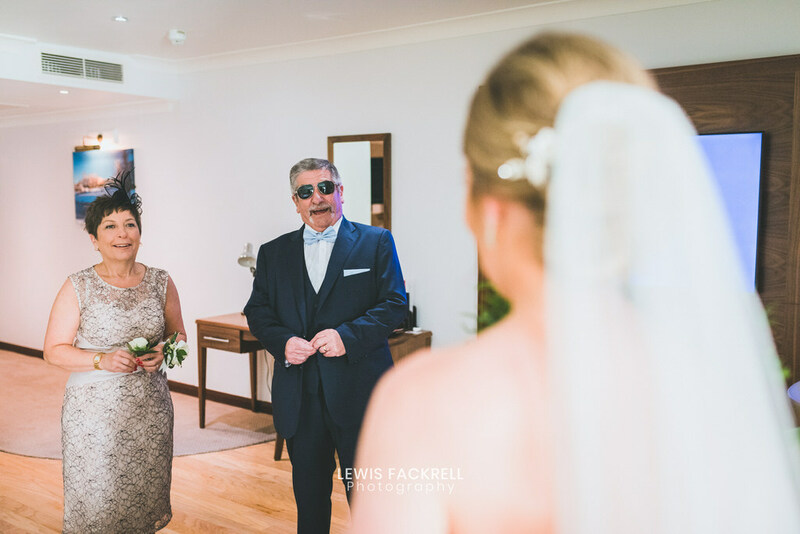 It was onto the reception at the New House Hotel wedding venue. 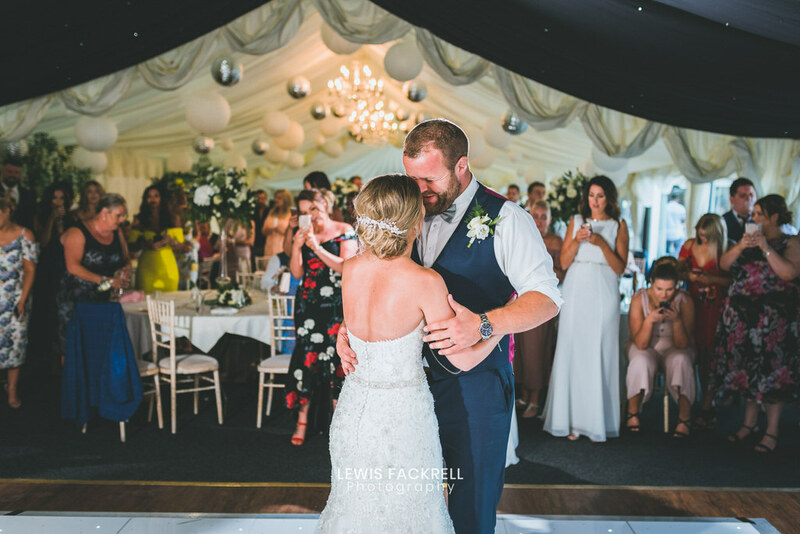 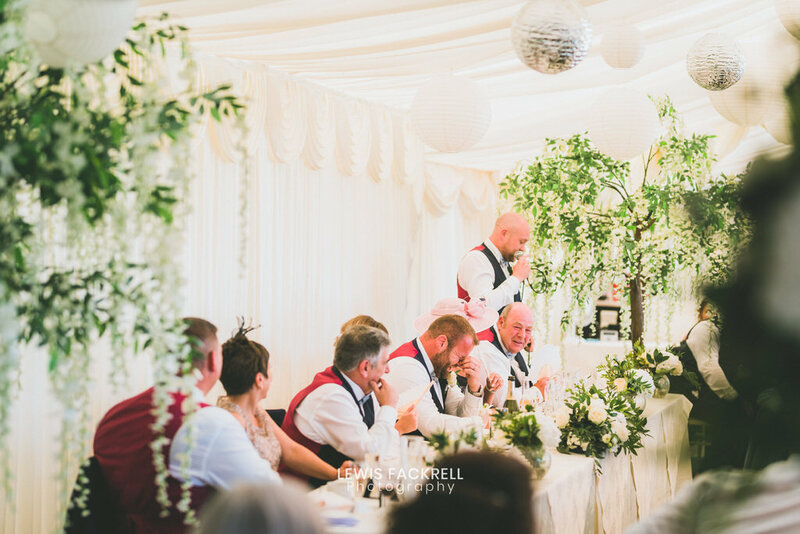 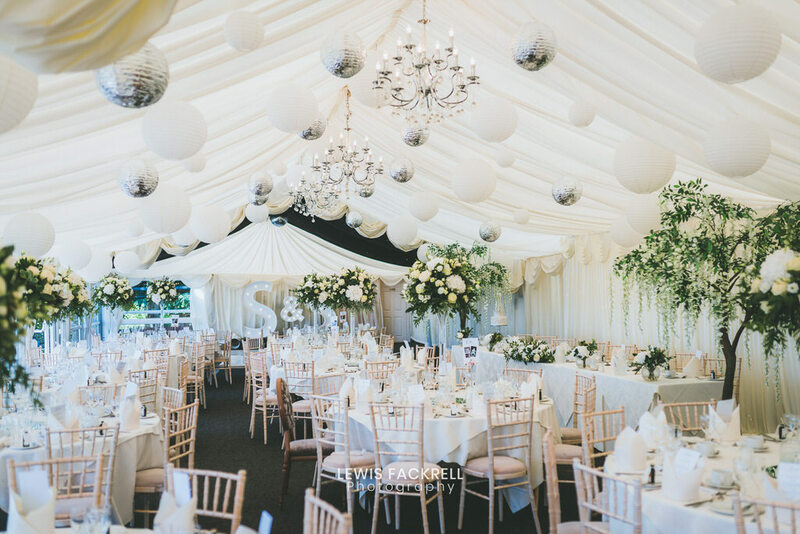 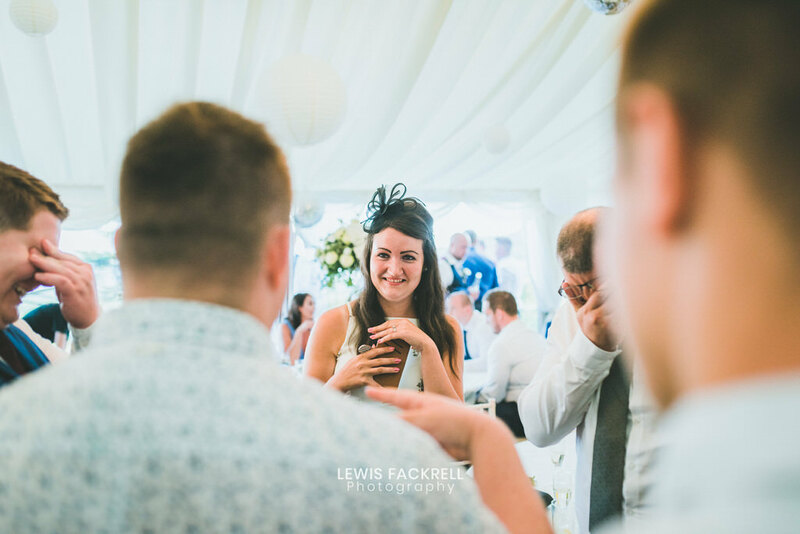 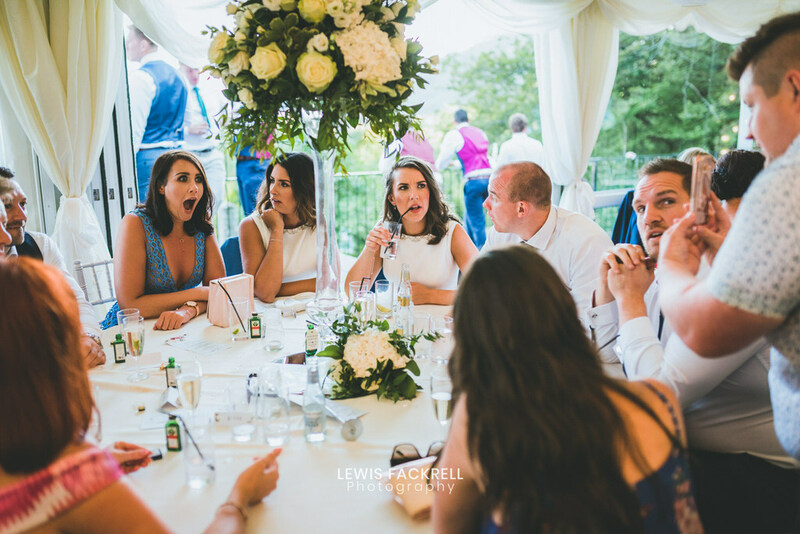 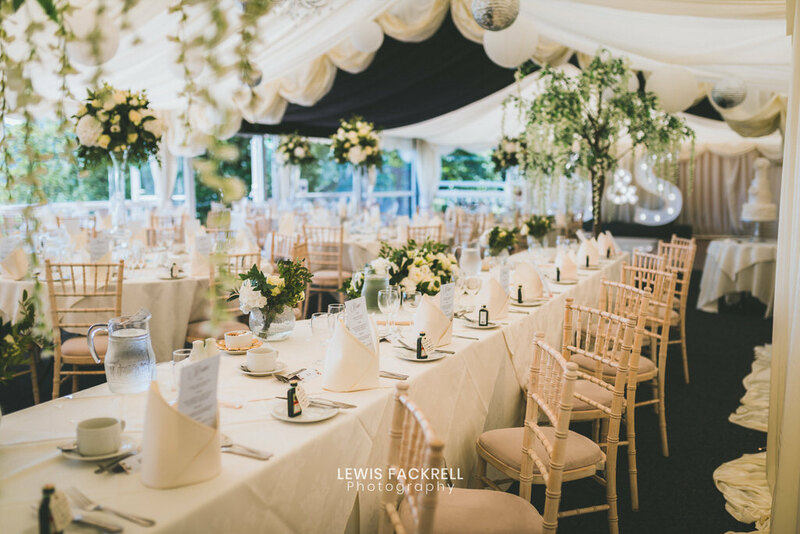 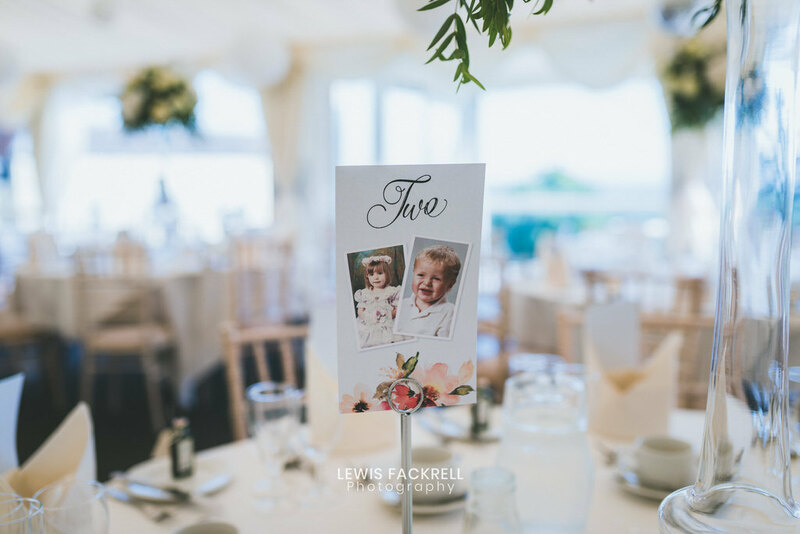 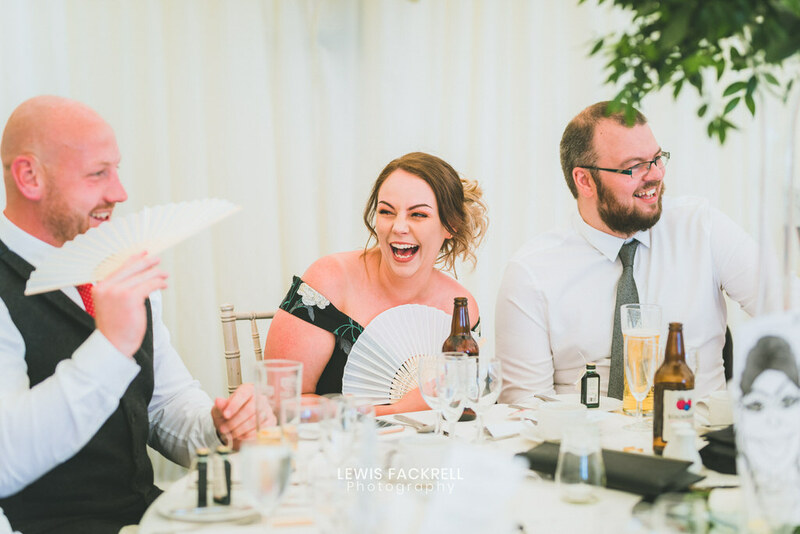 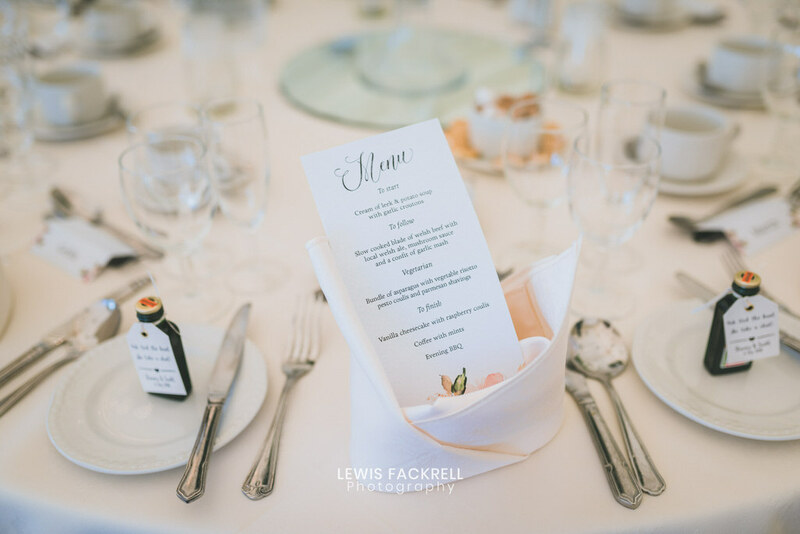 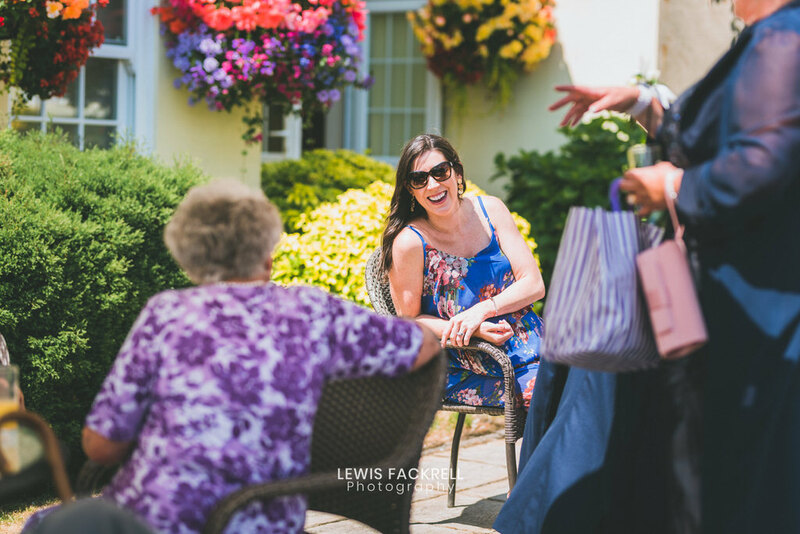 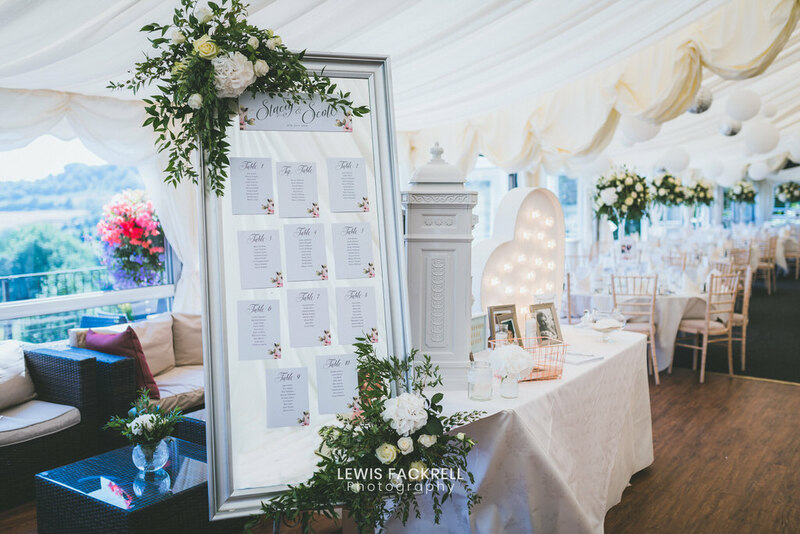 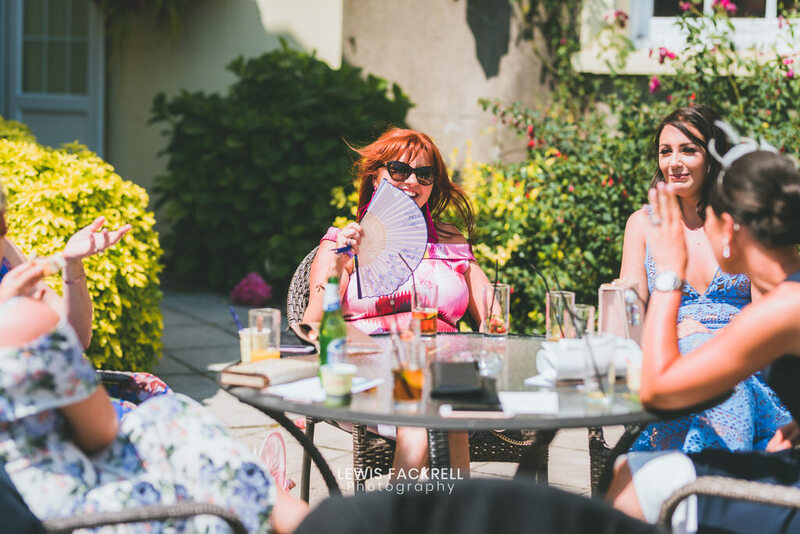 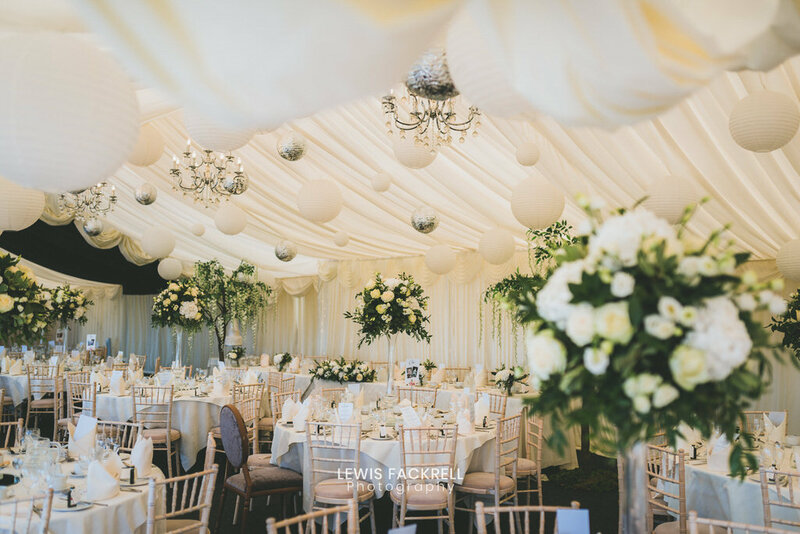 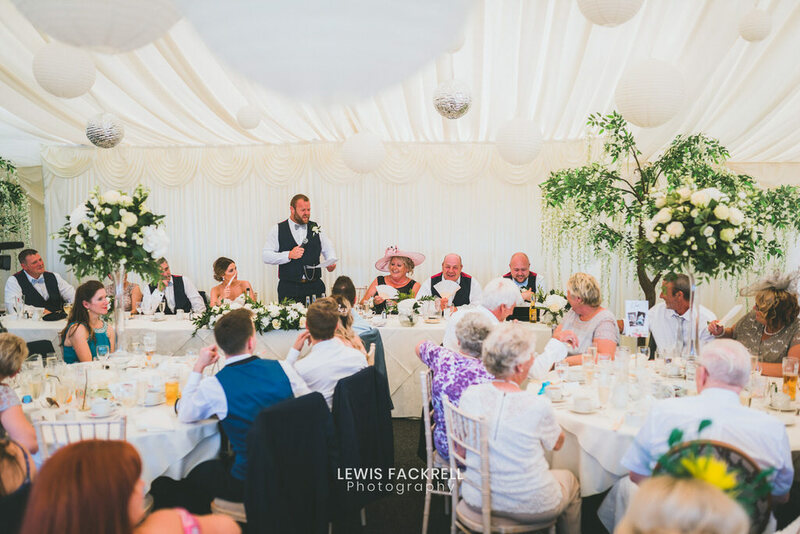 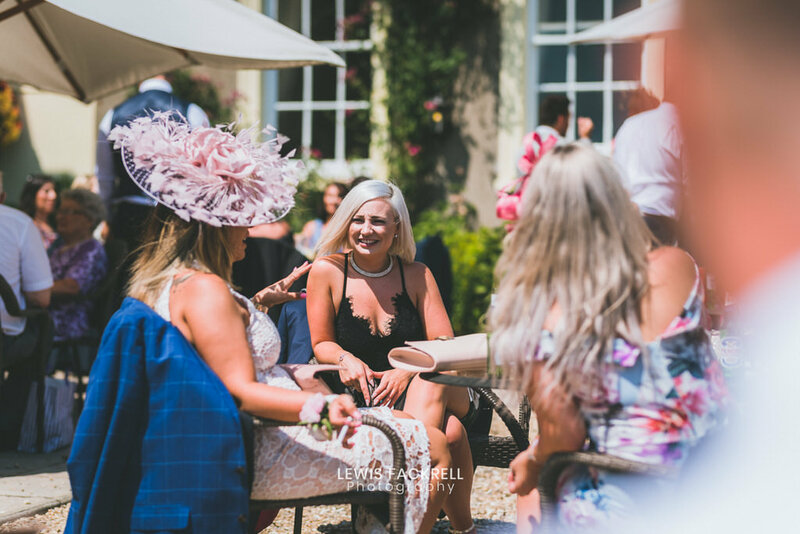 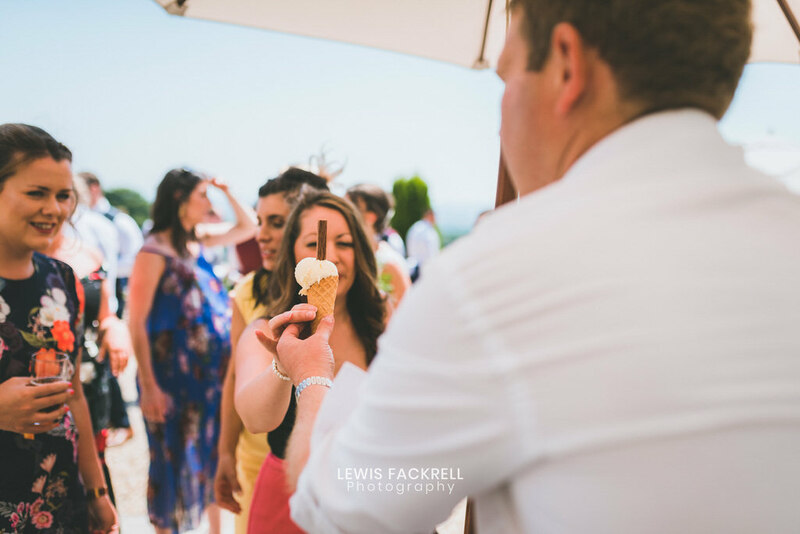 Canapés & Prosecco served along with a helping of ice-cream as the guests mingled on the terrace, shortly followed by the wedding breakfast in the marquee. 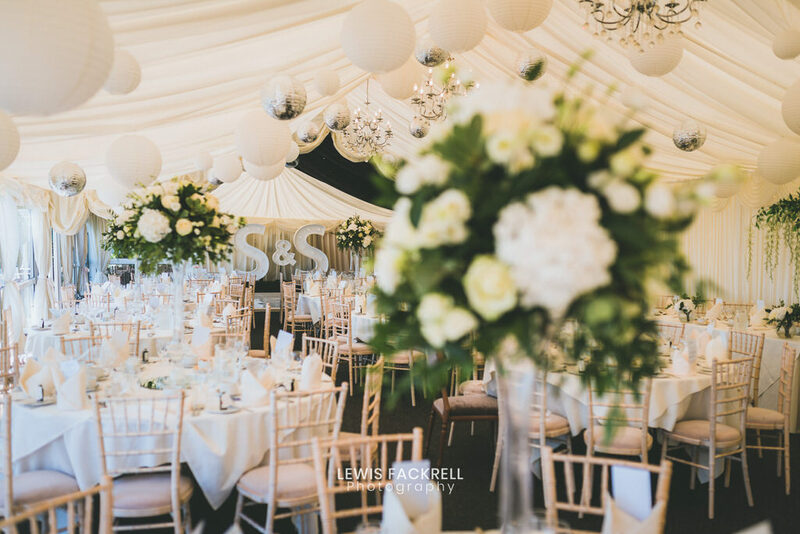 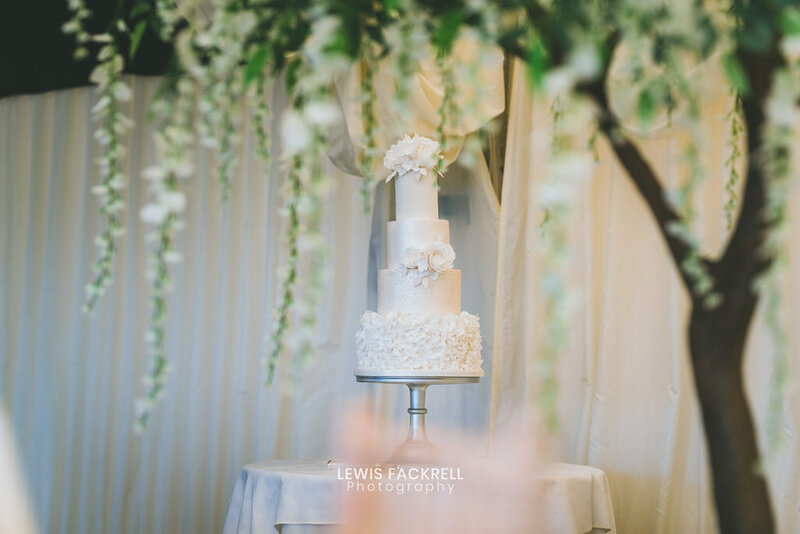 The room was decorated with trees and large flower centre pieces on each of the tables; Very much an elegant style throughout. 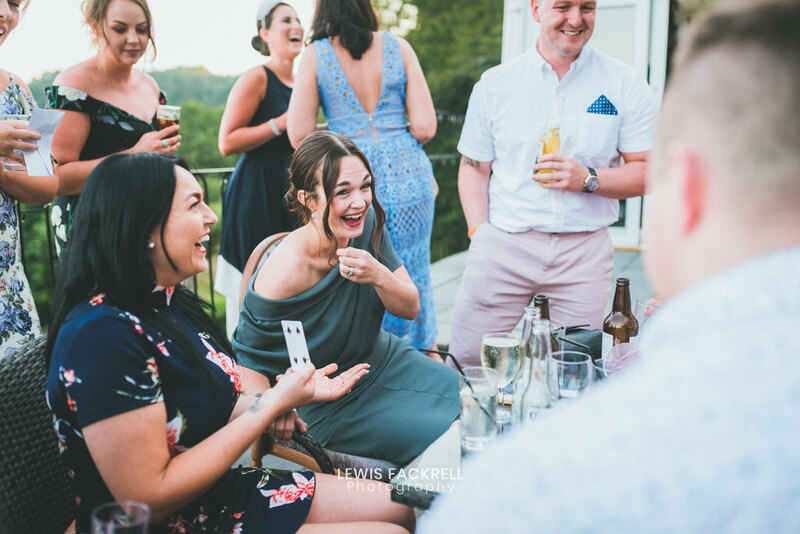 The evening reception commenced with the attendance of a magician who was fantastic. 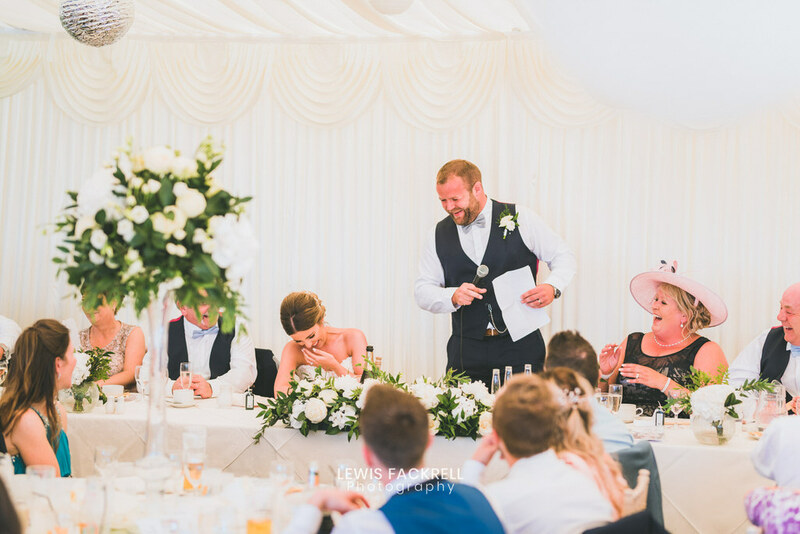 With fresh tricks he really entertained the guests and left them in awe and amusement. 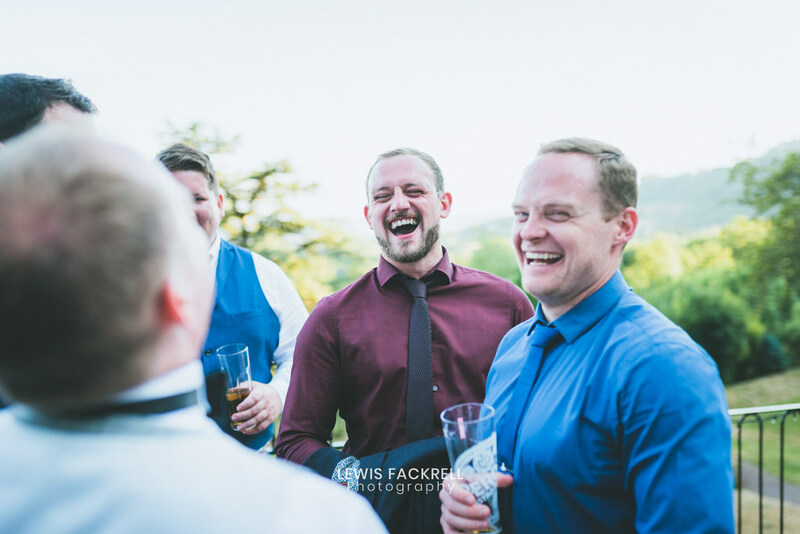 Of course, always a pleasure to document.